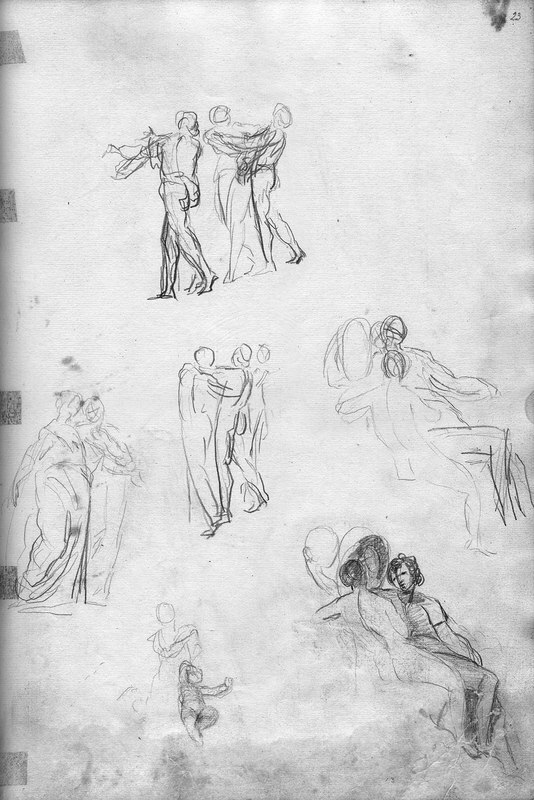 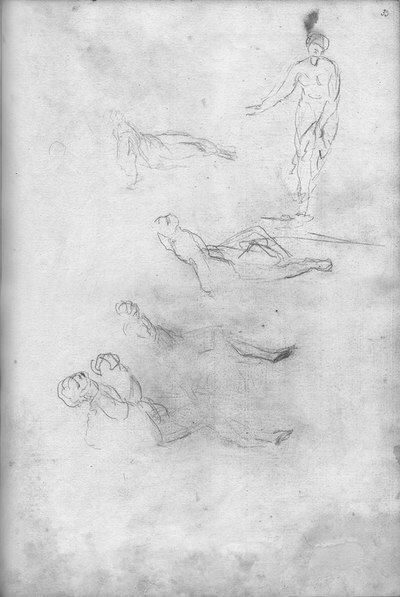 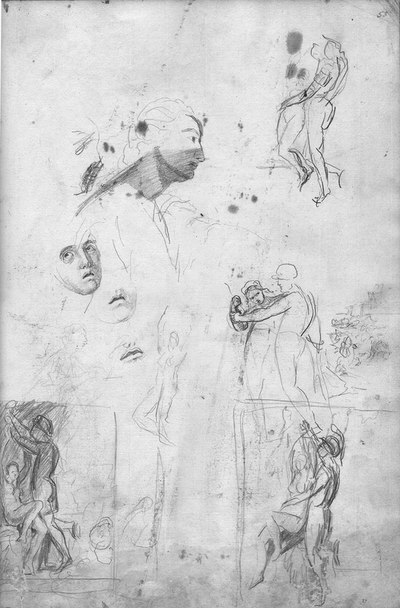 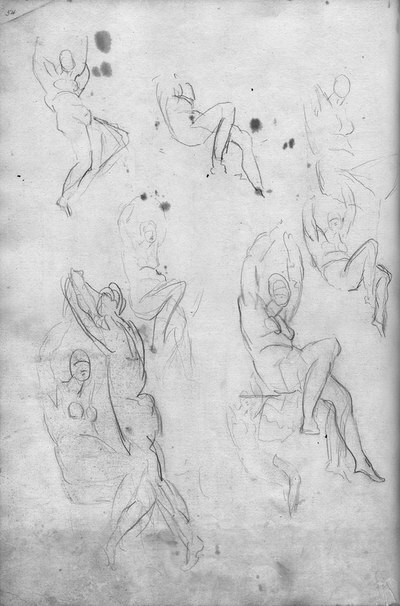 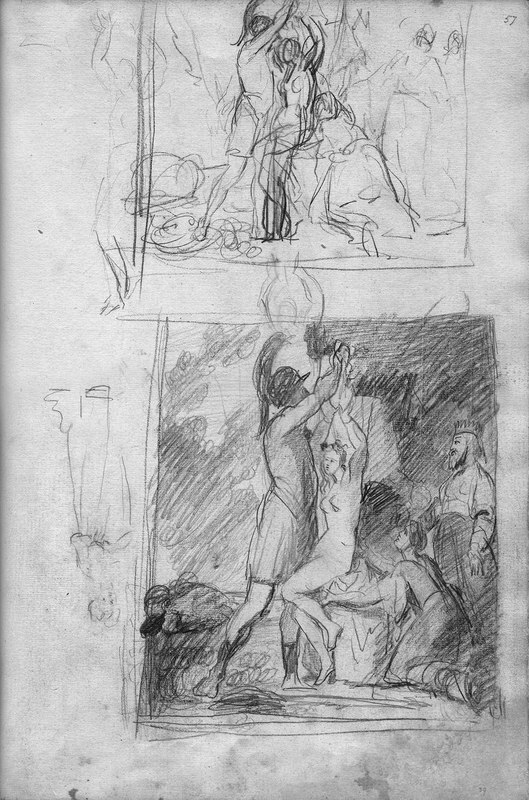 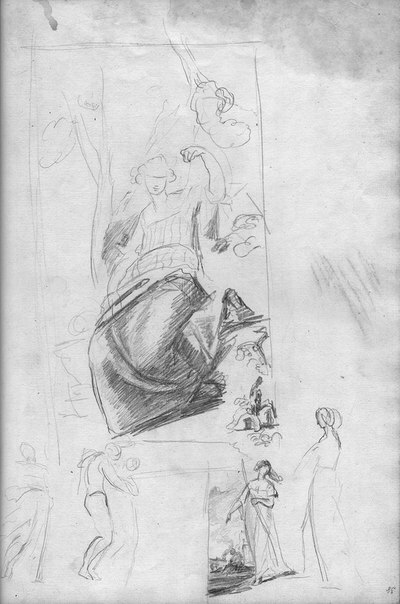 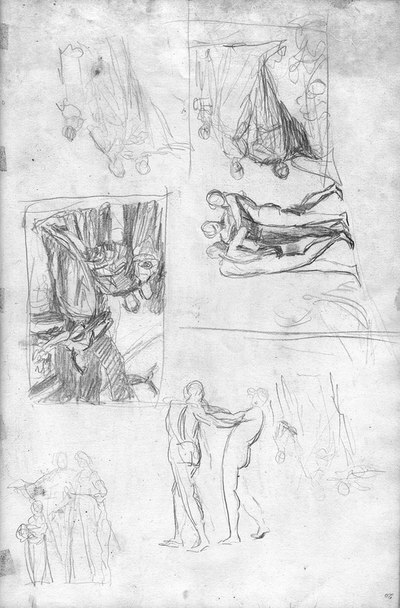 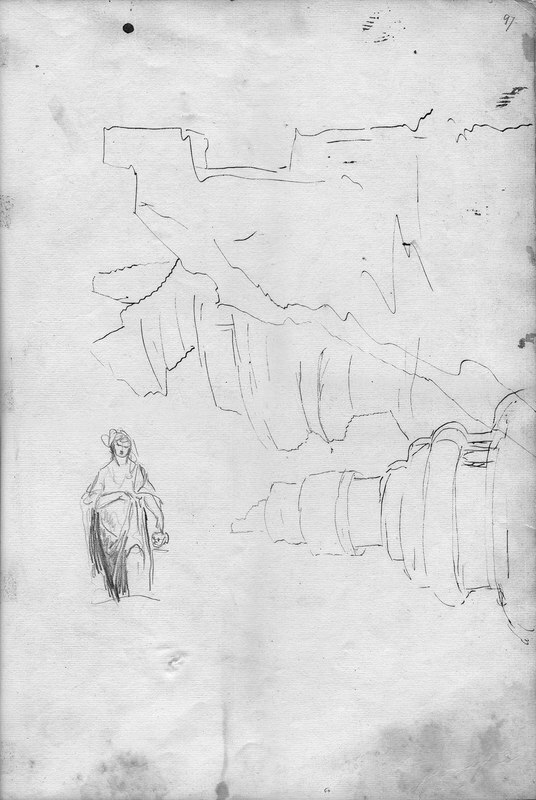 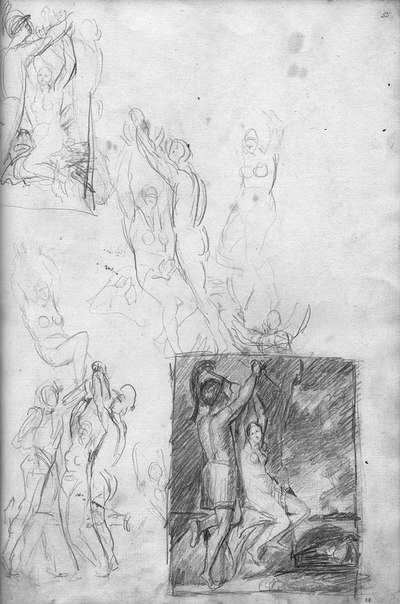 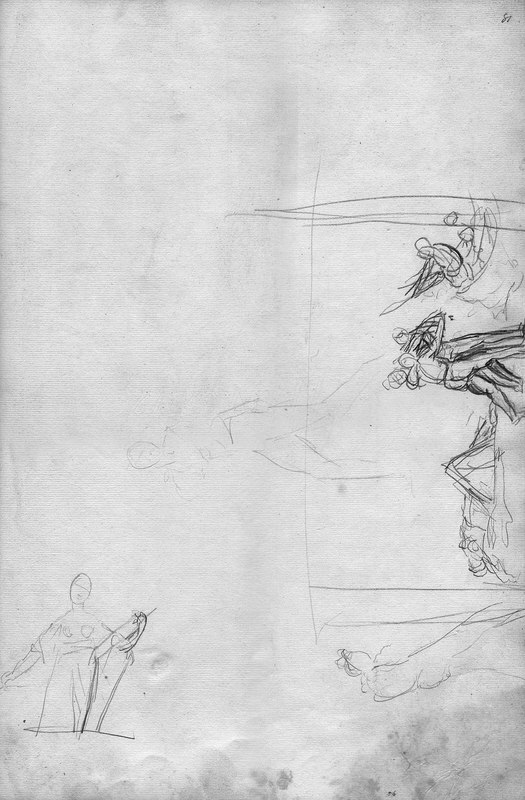 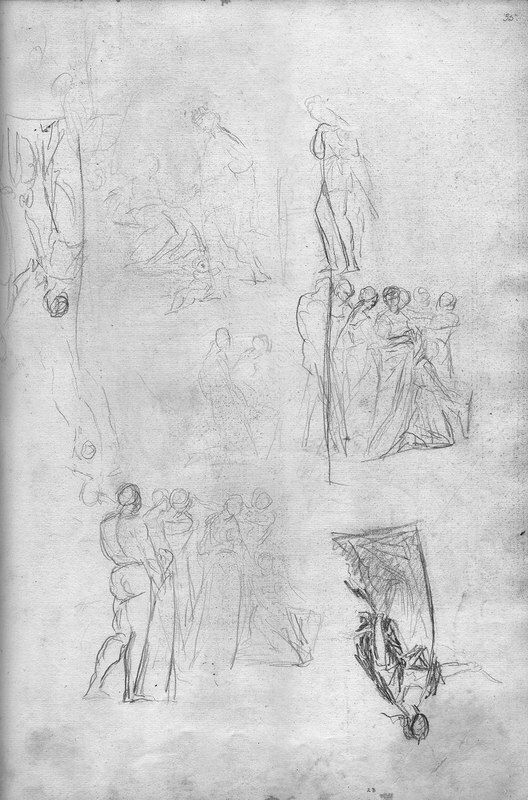 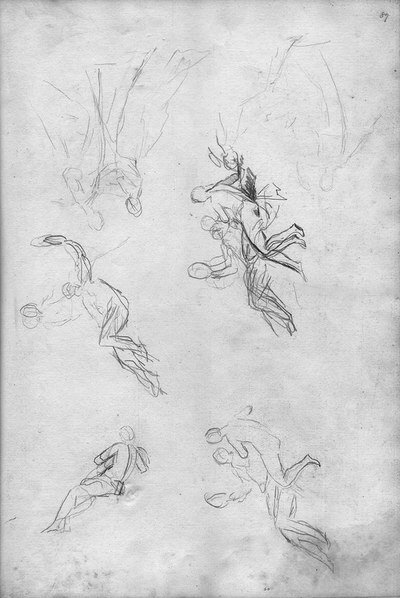 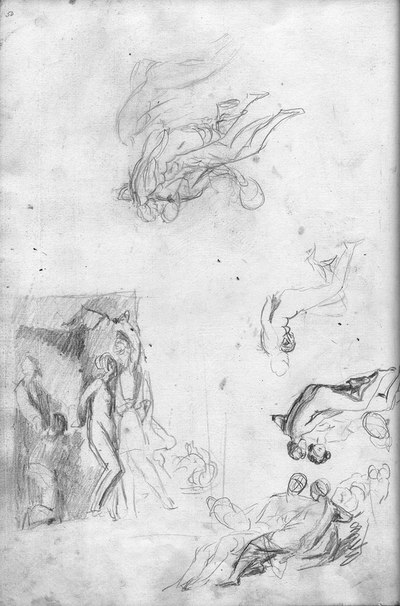 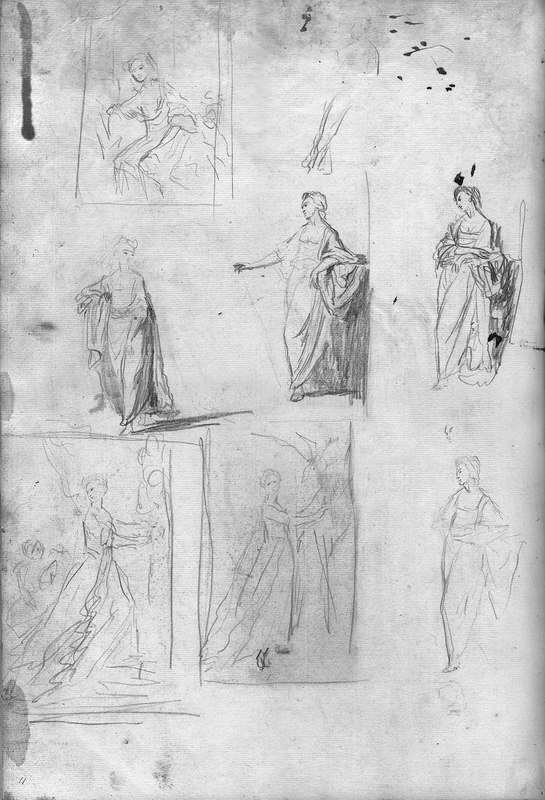 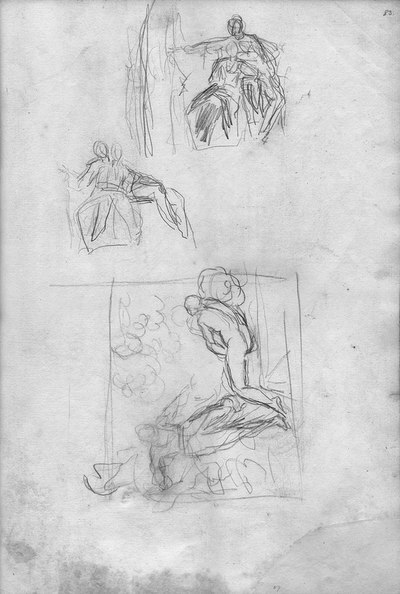 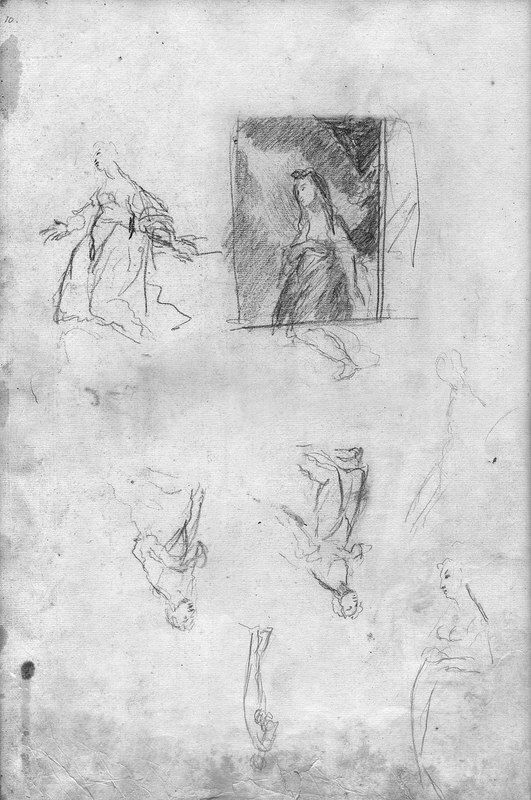 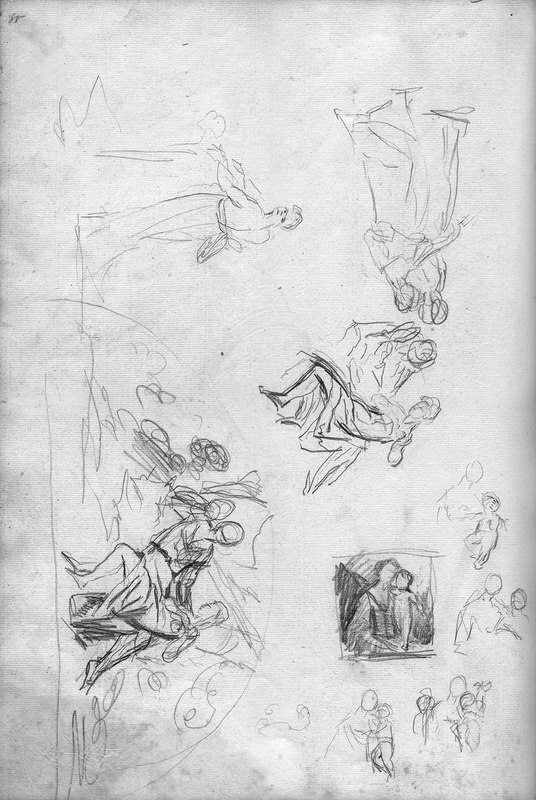 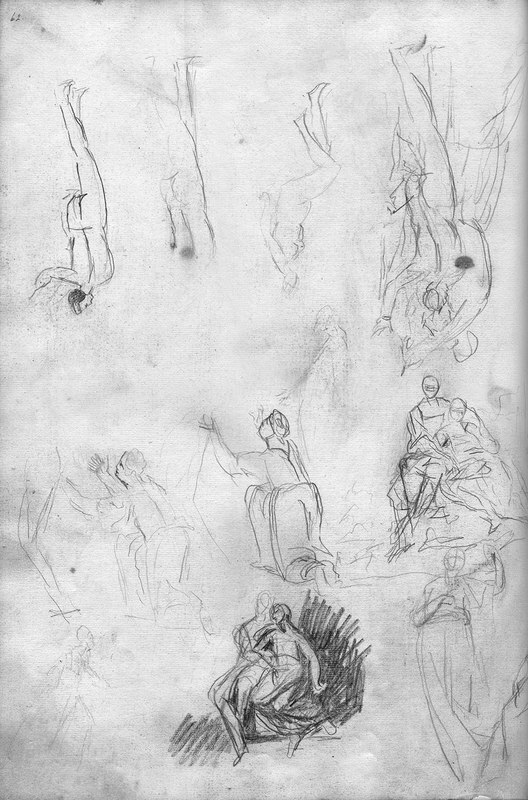 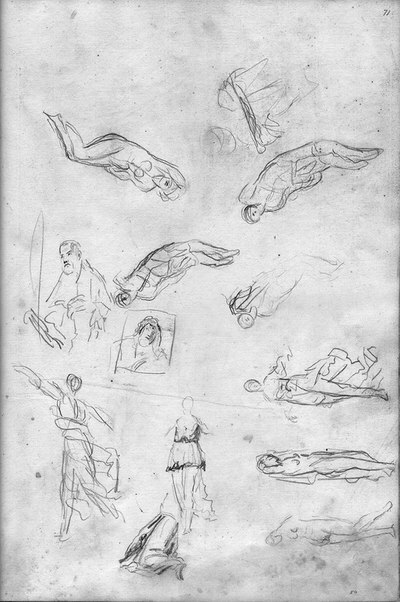 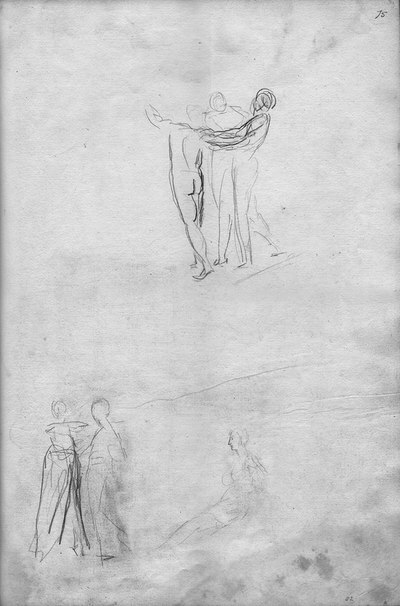 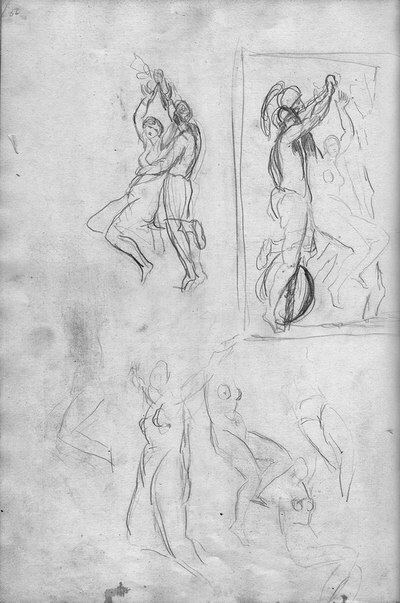 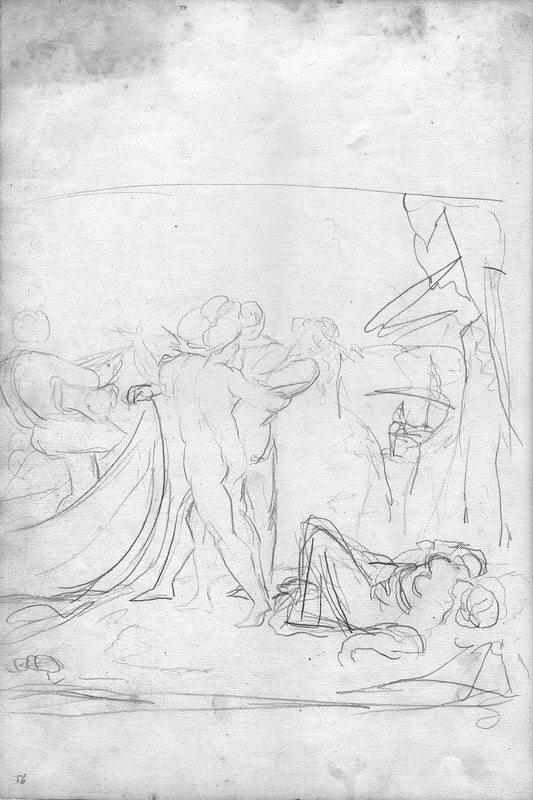 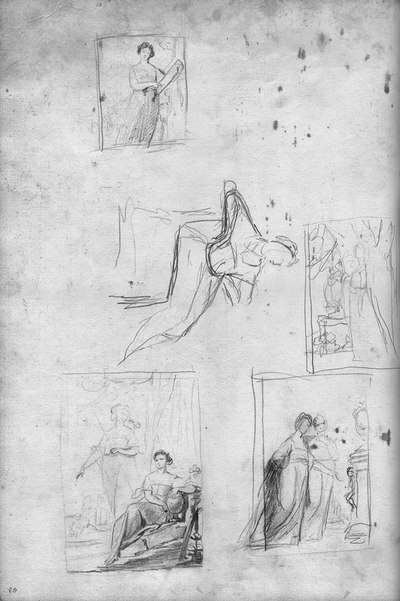 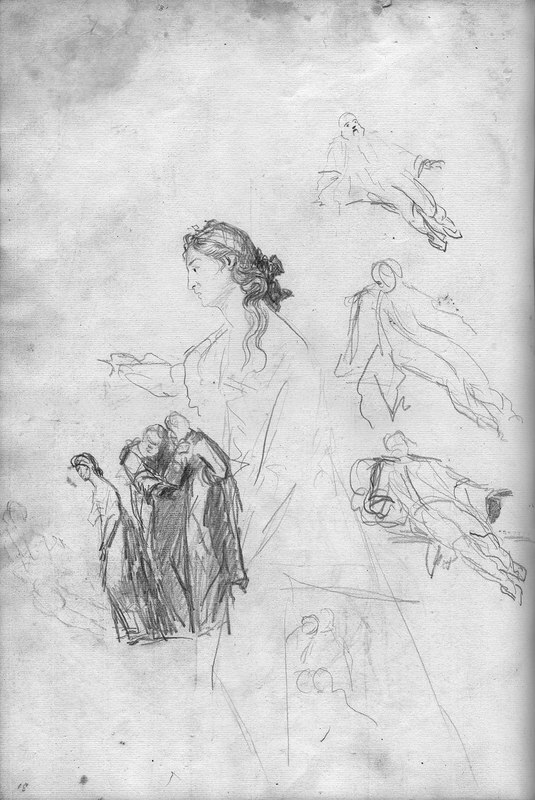 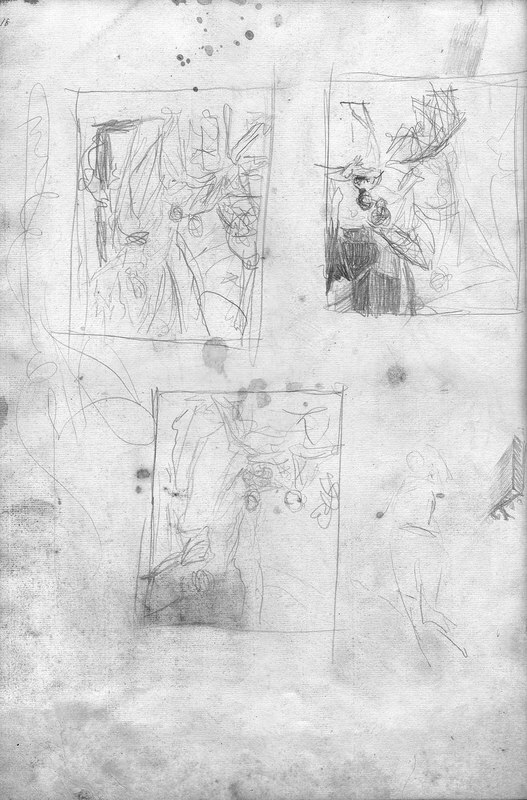 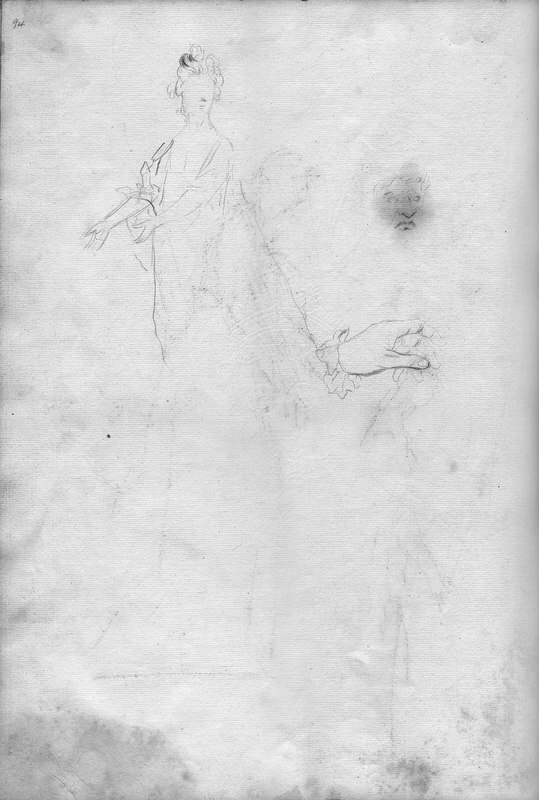 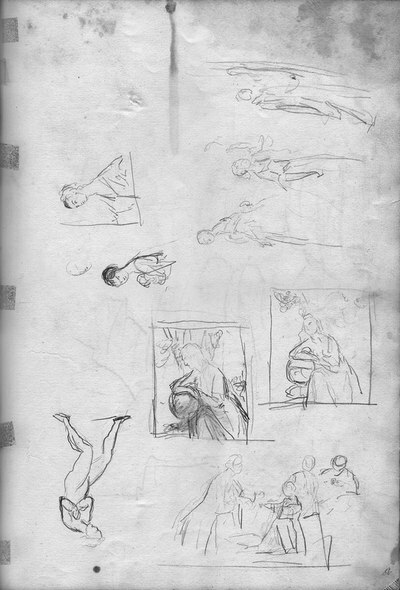 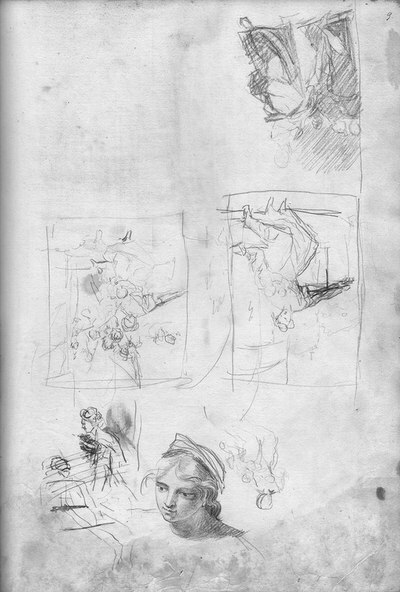 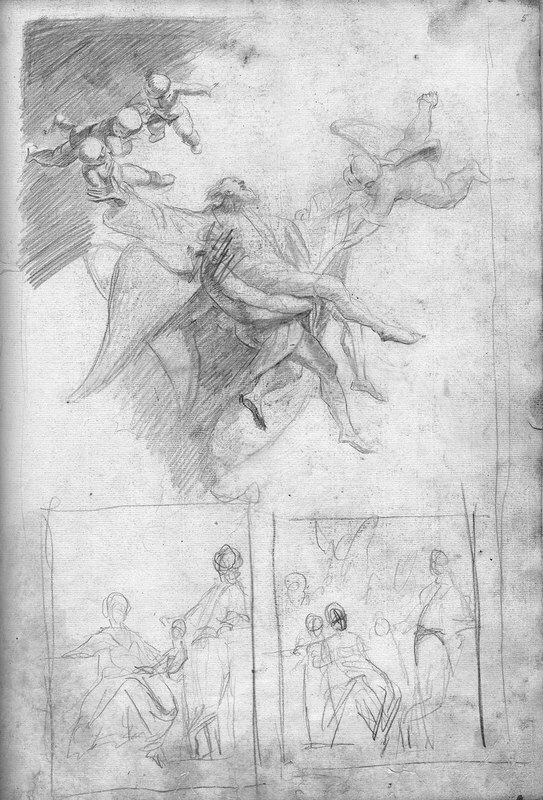 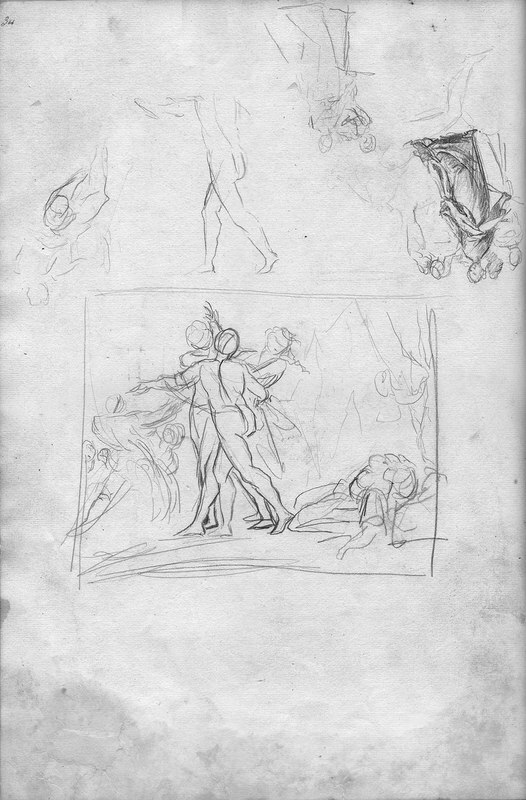 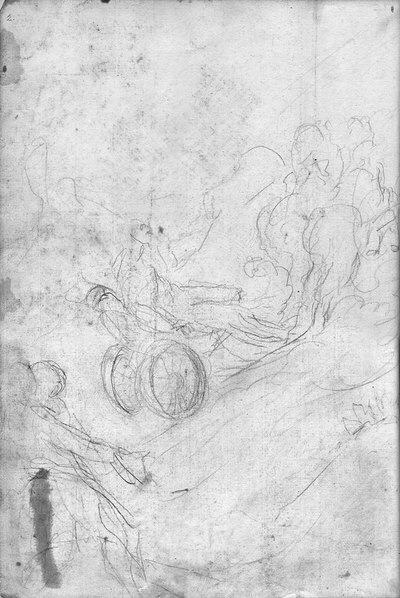 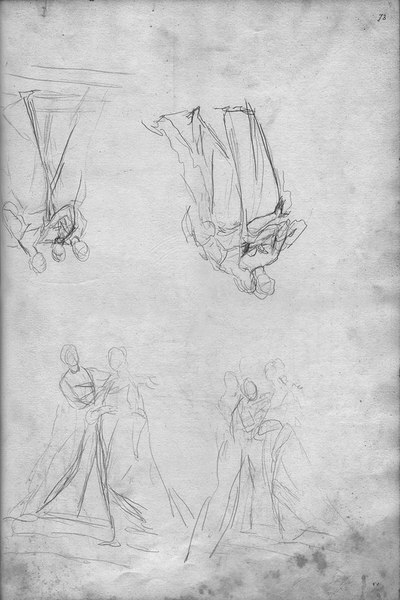 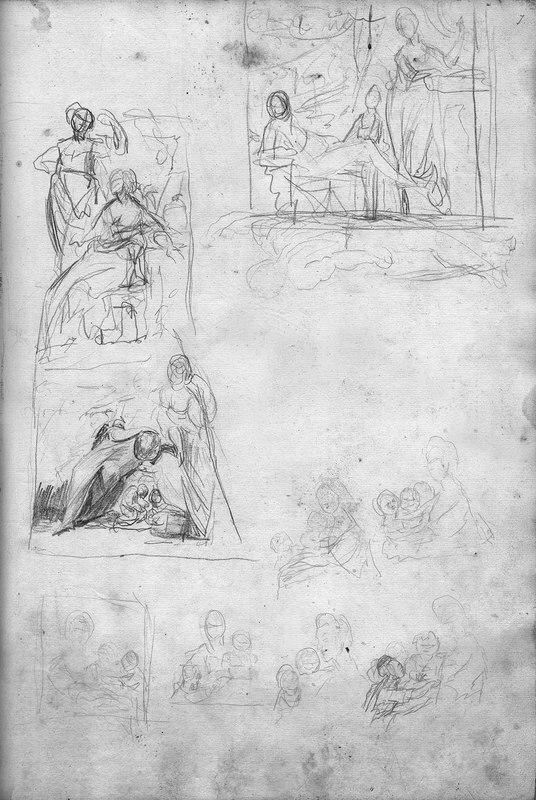 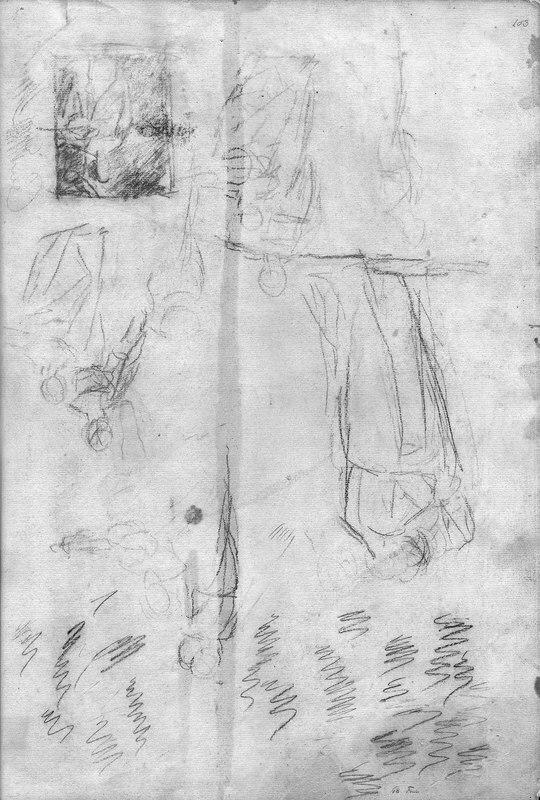 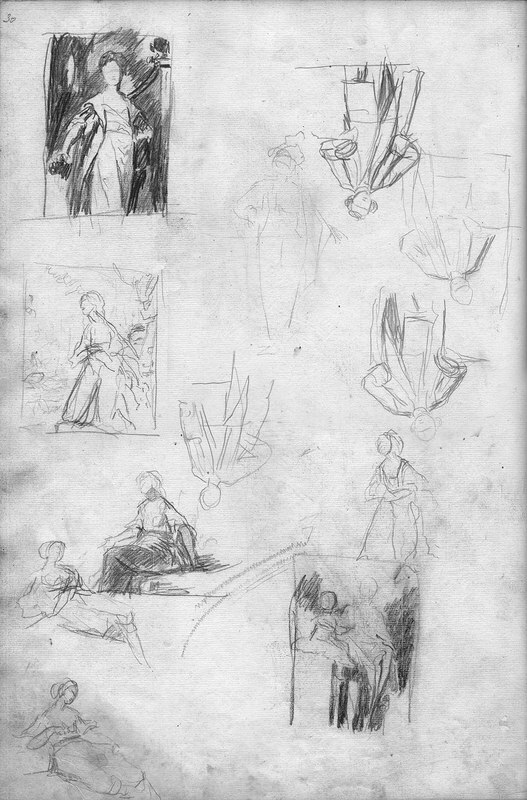 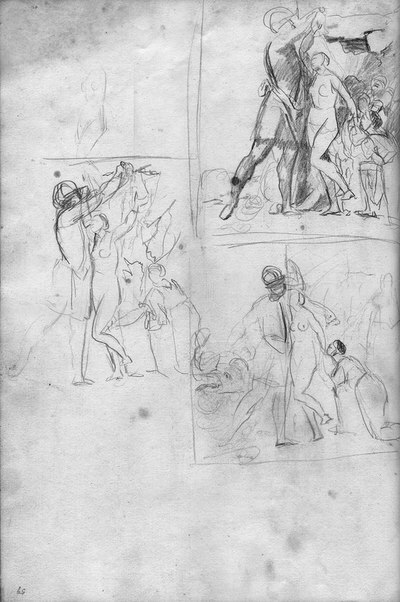 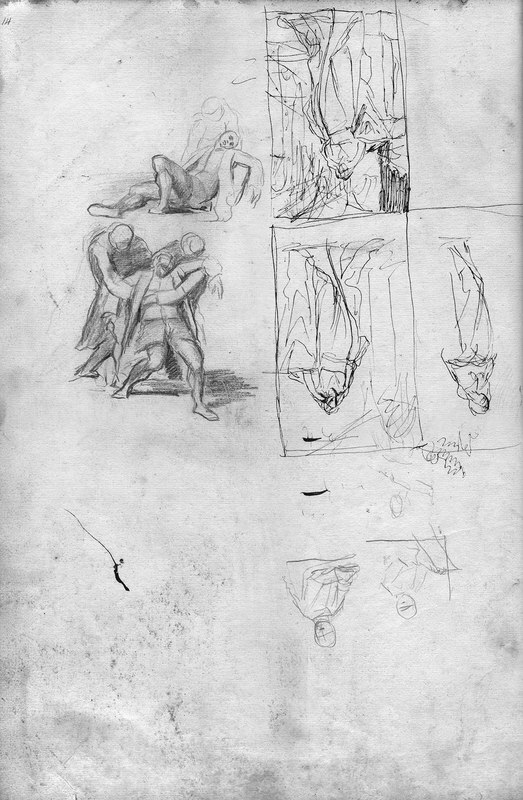 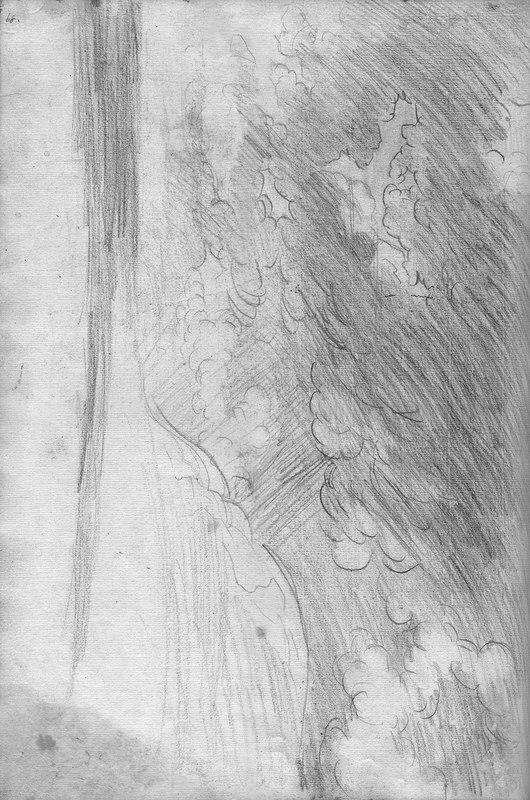 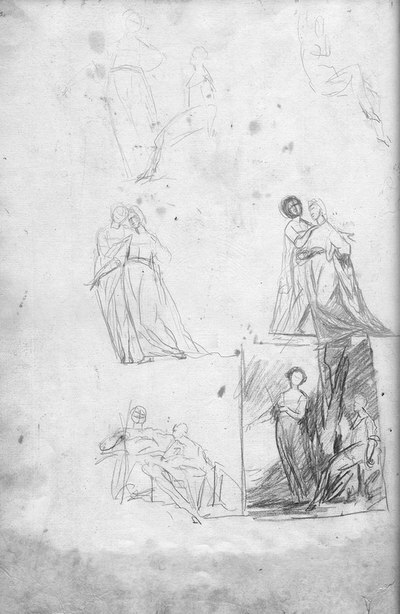 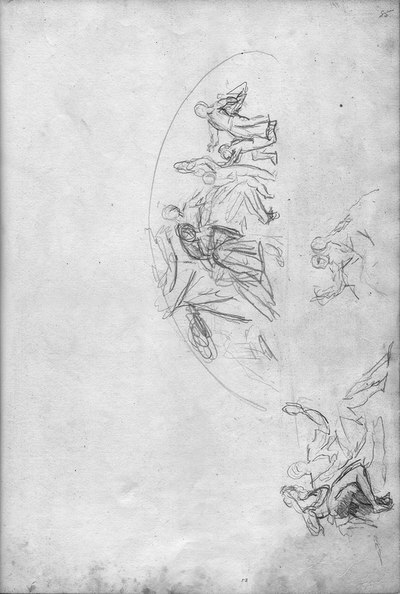 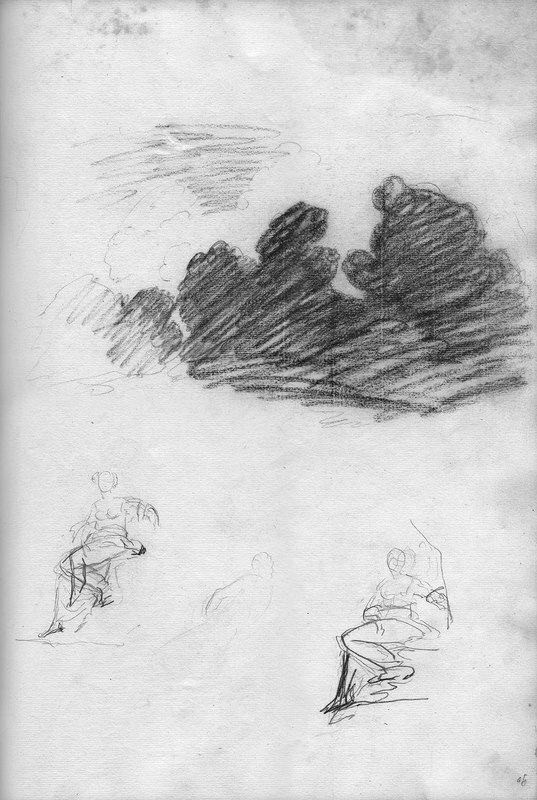 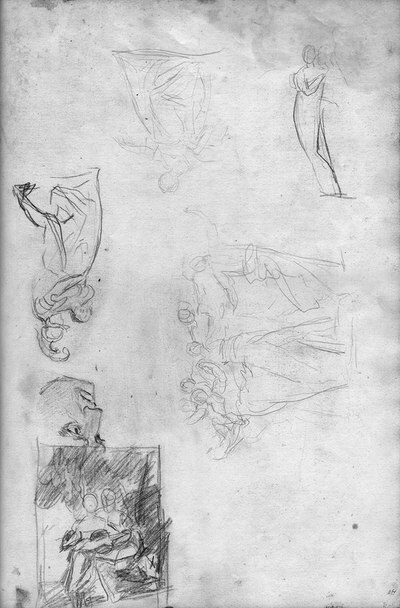 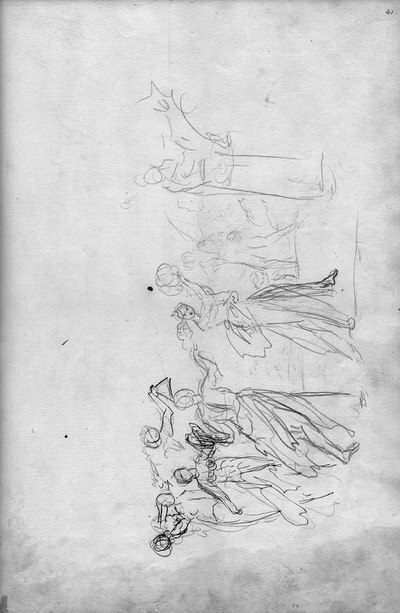 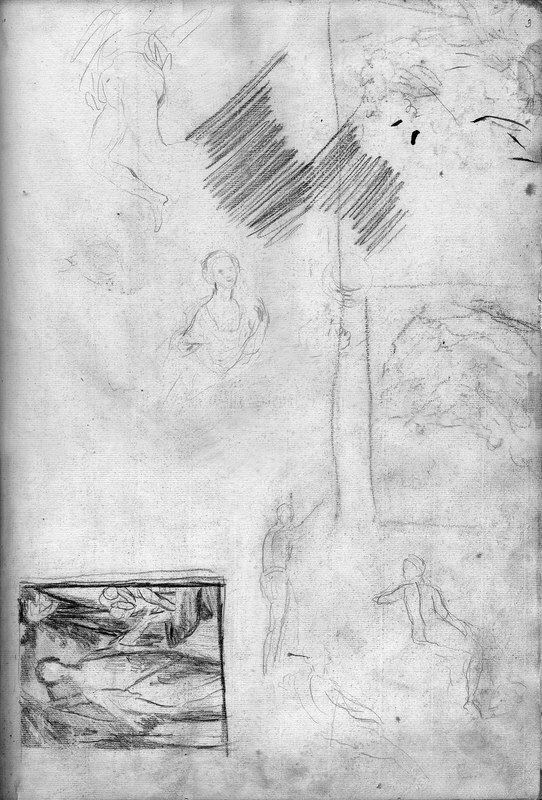 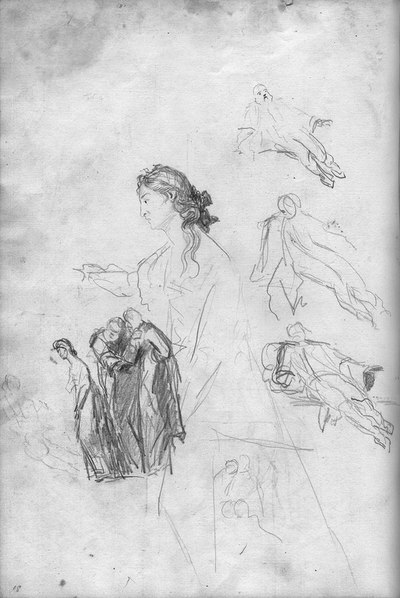 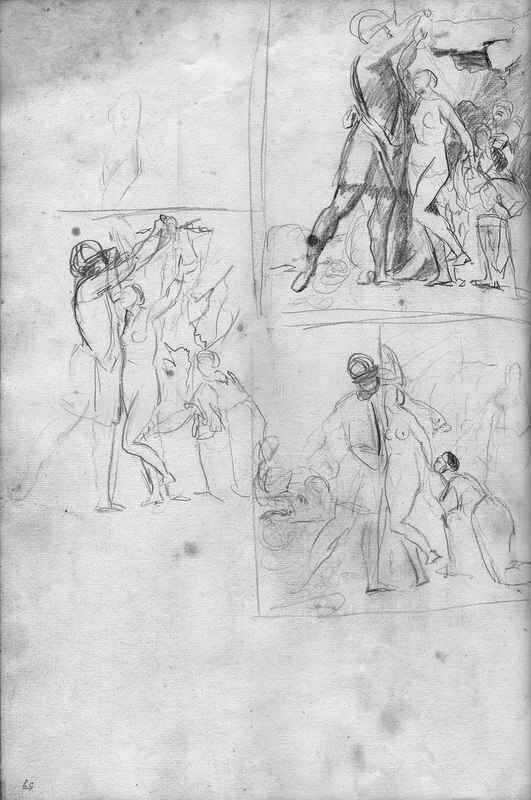 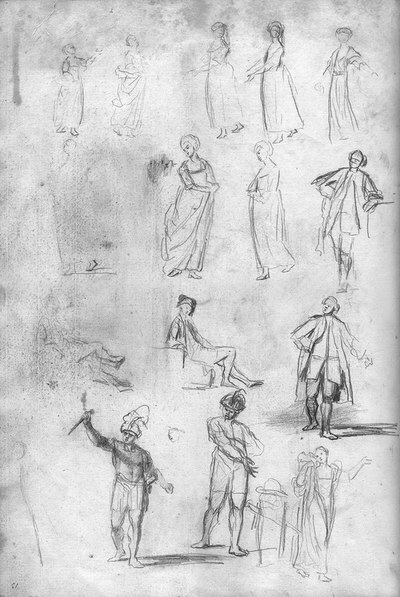 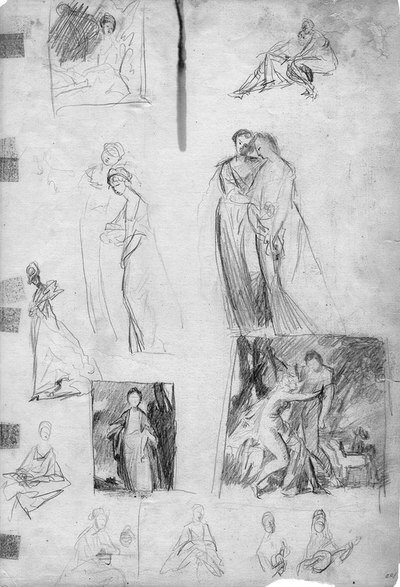 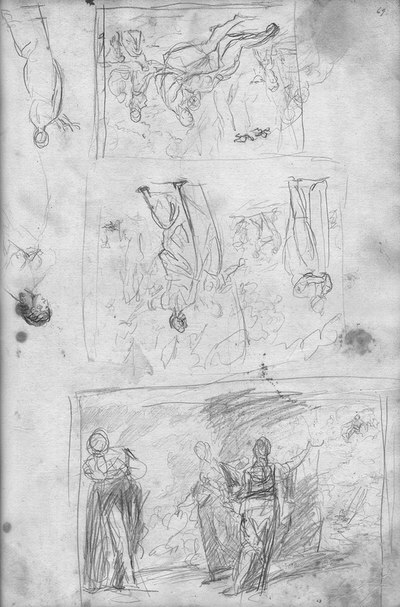 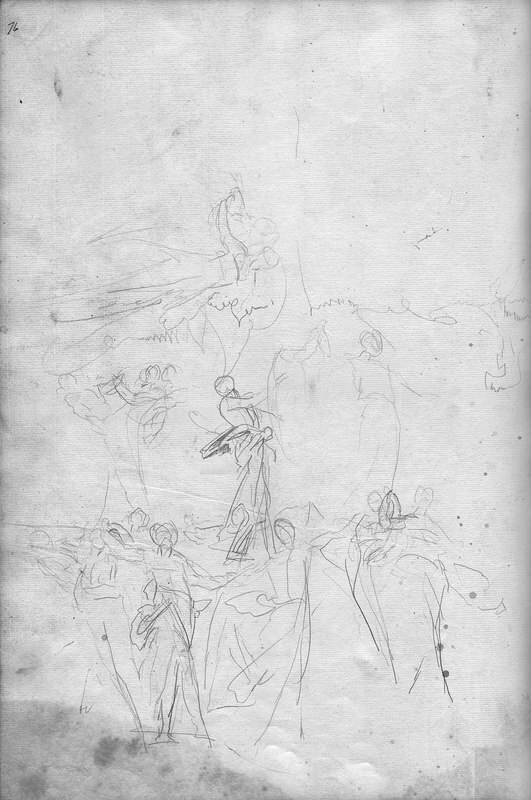 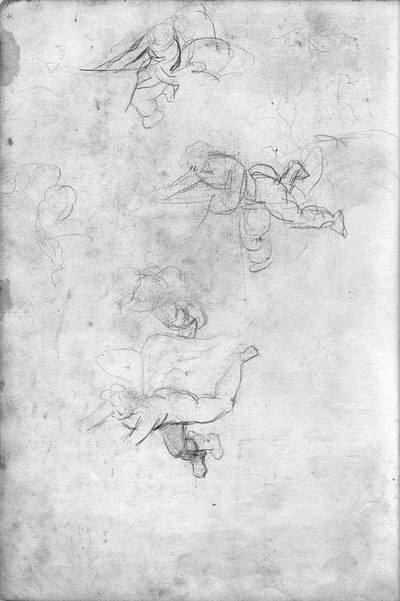 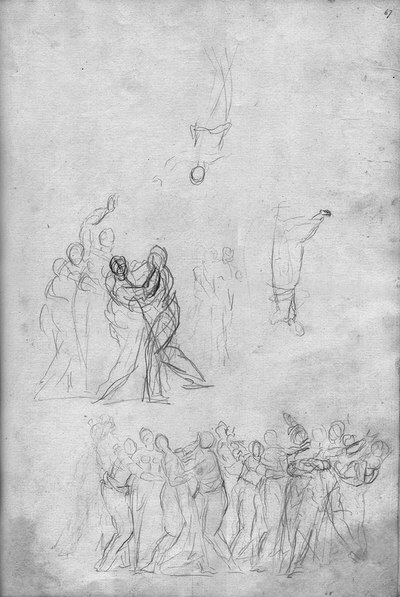 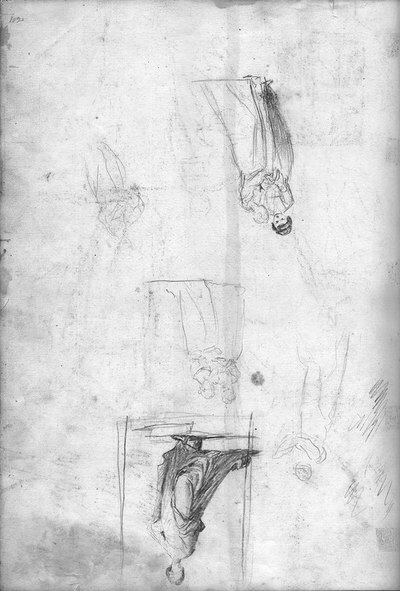 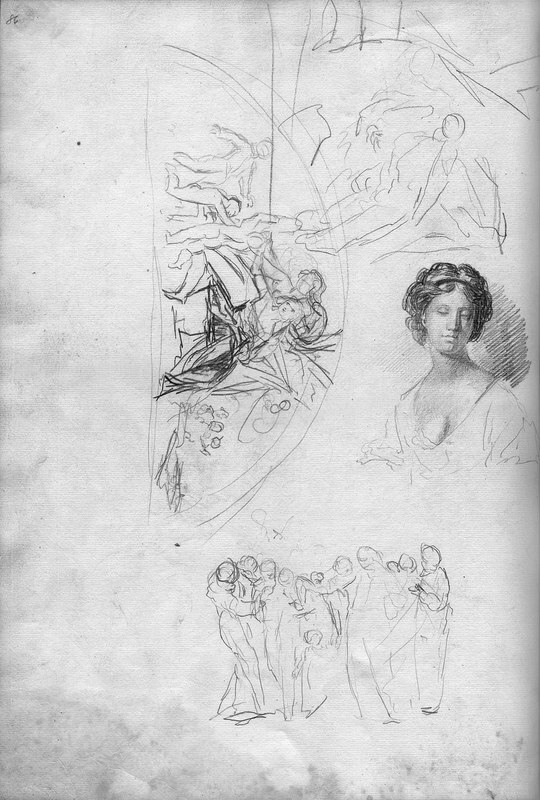 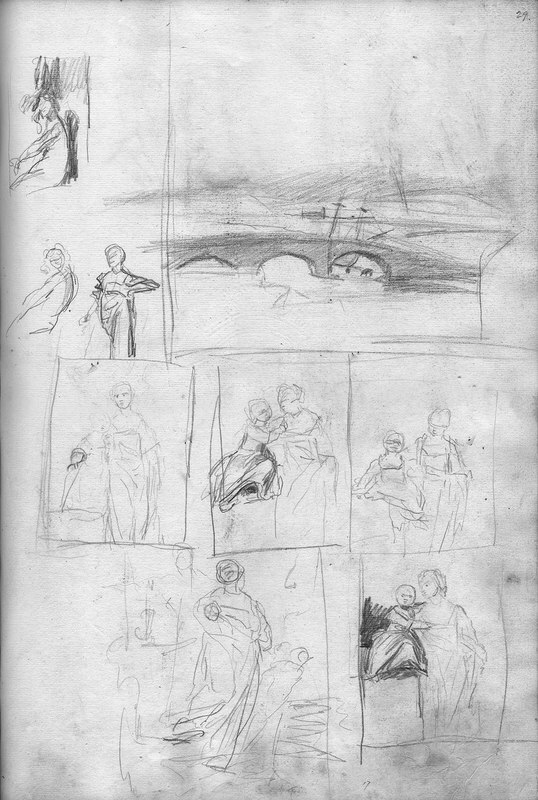 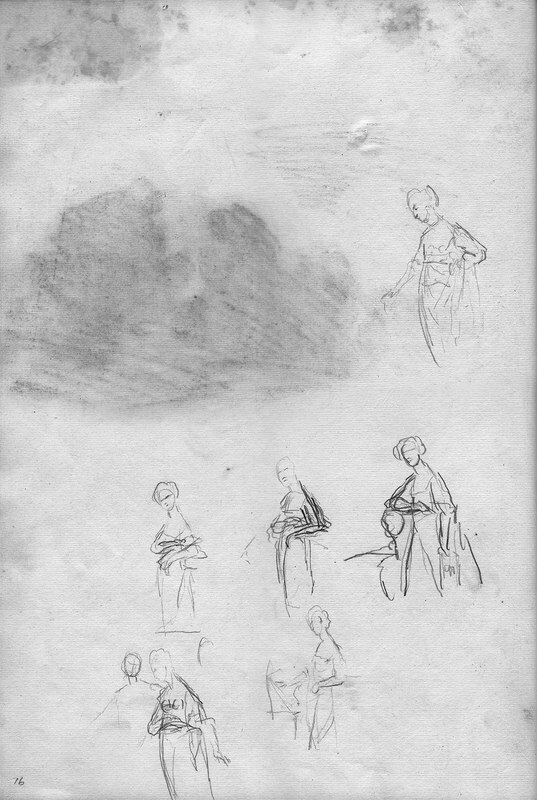 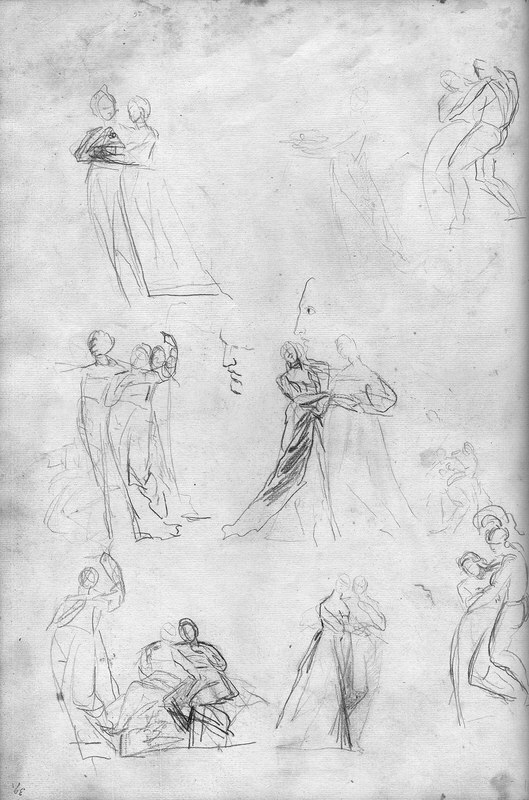 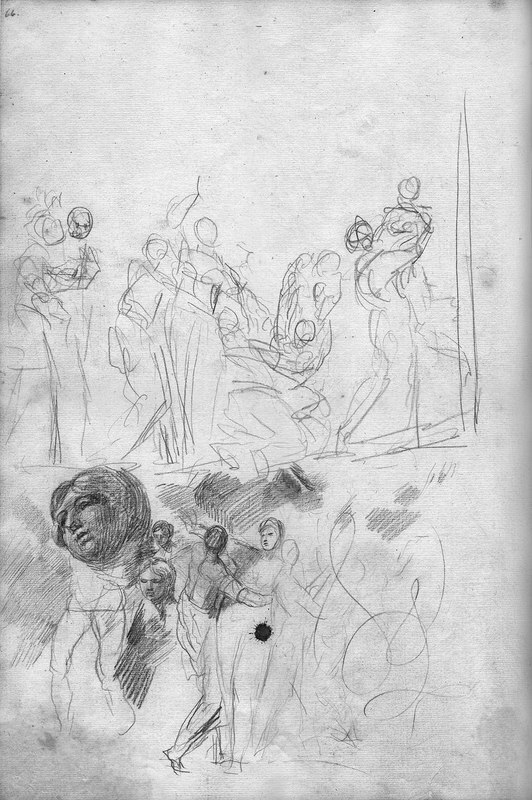 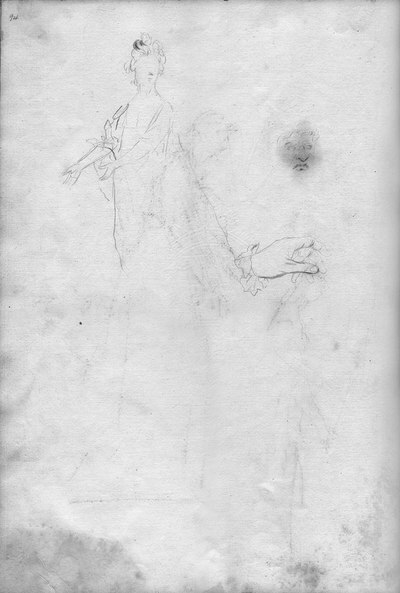 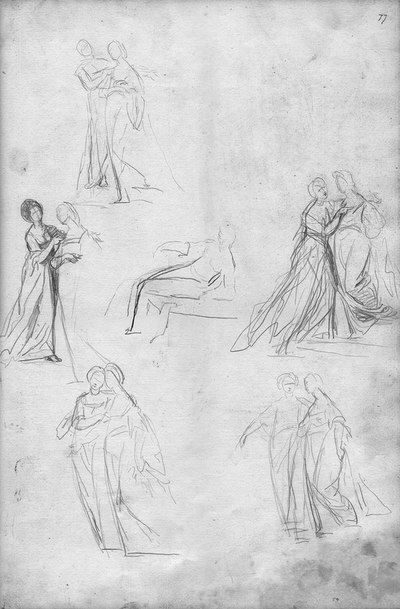 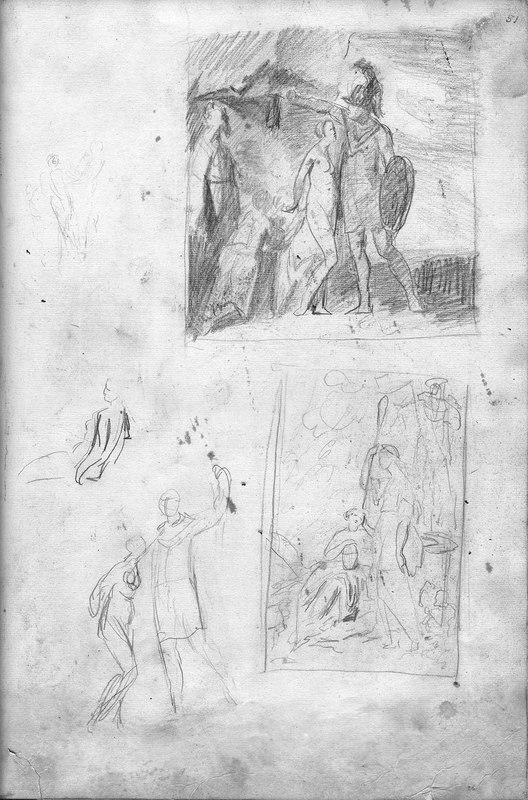 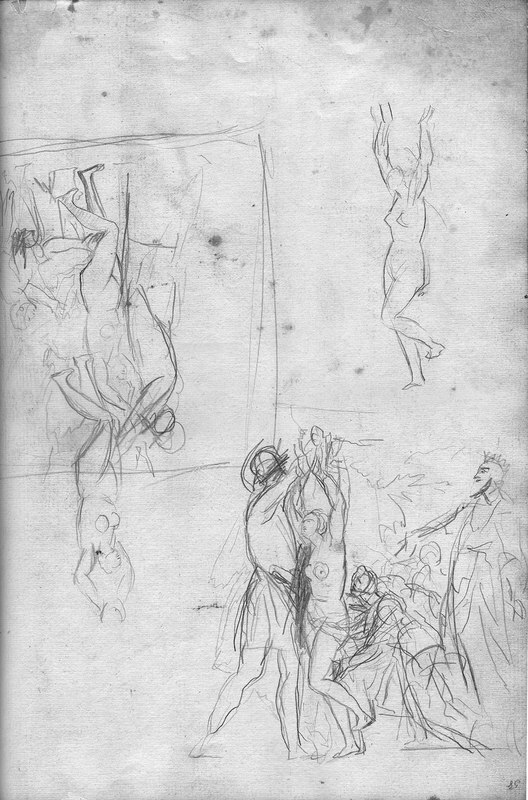 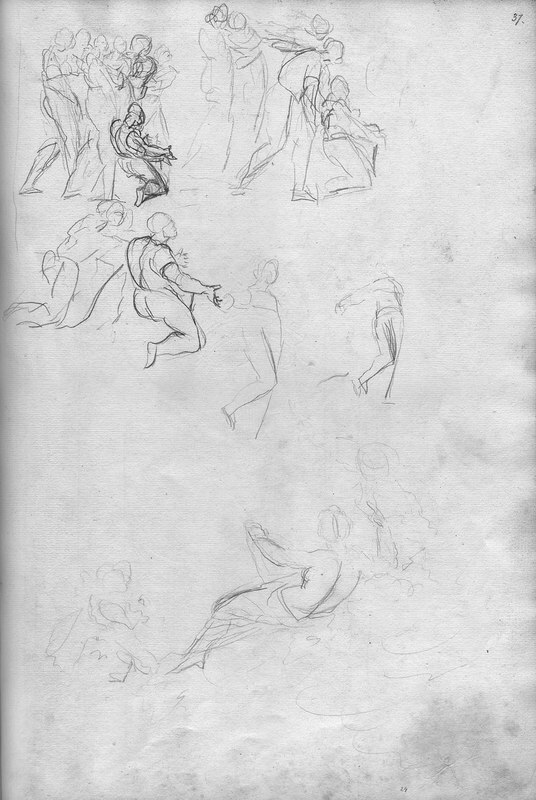 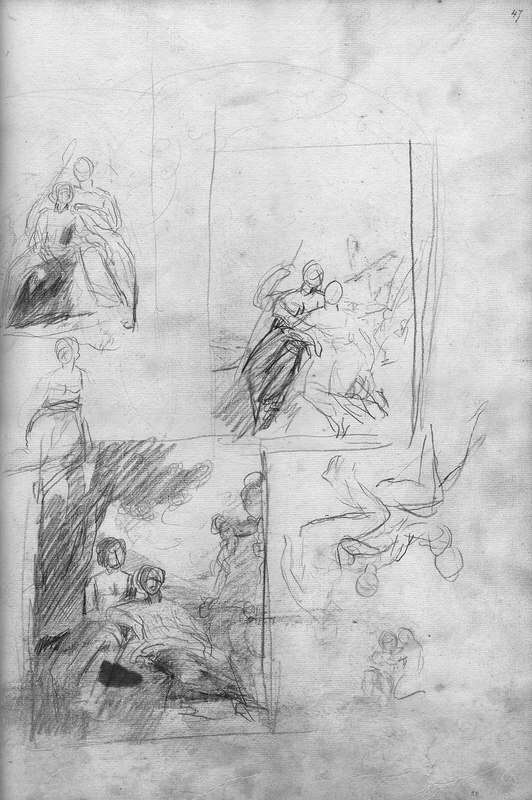 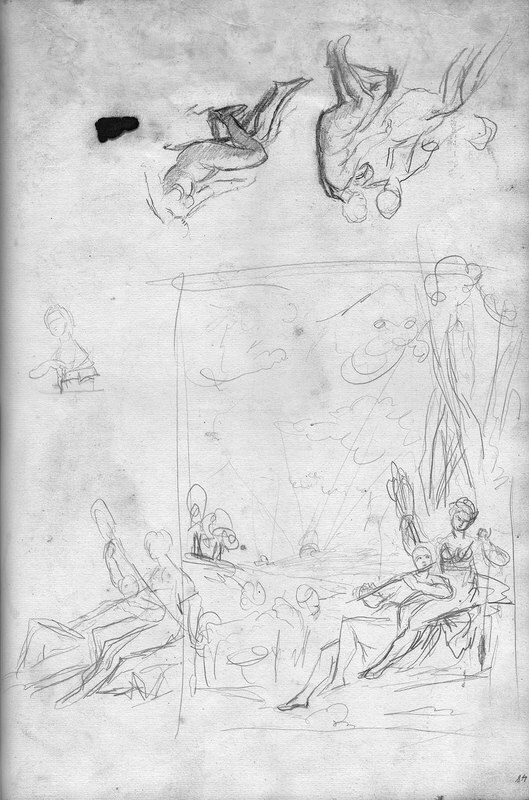 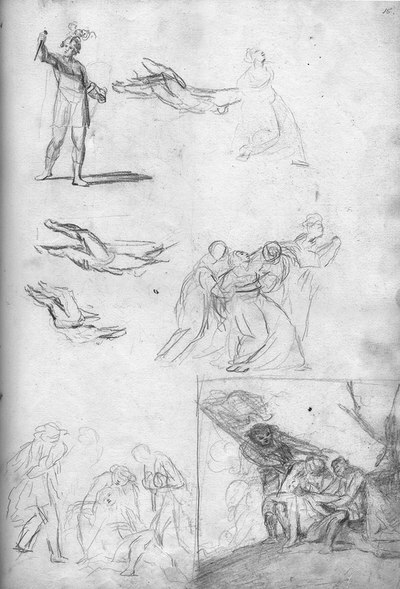 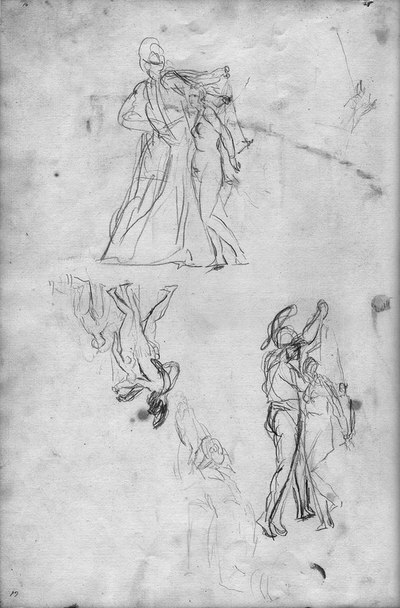 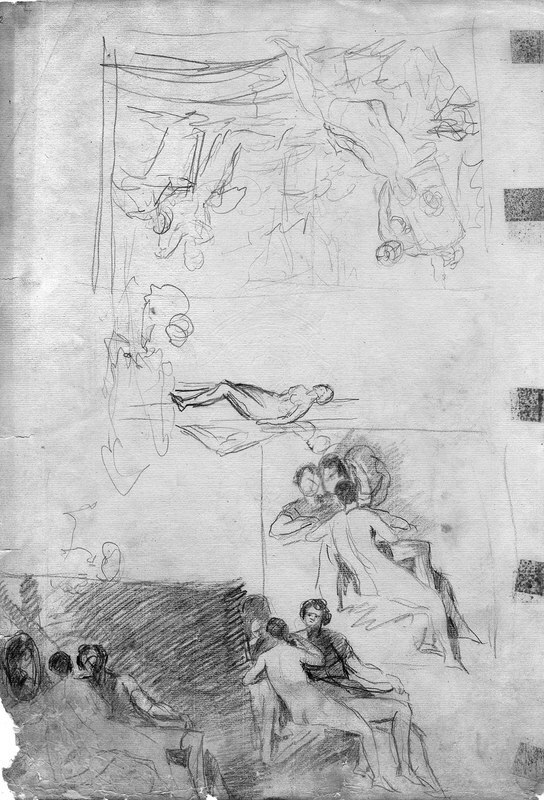 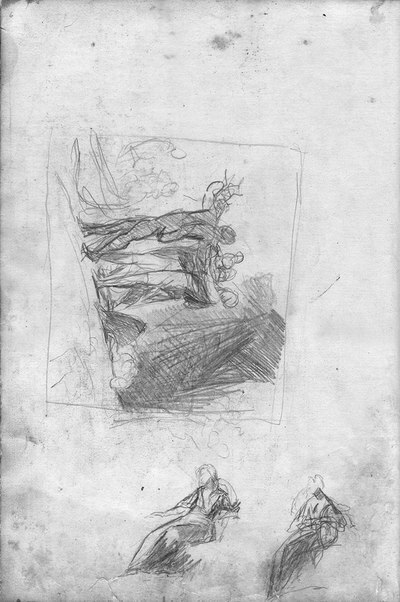 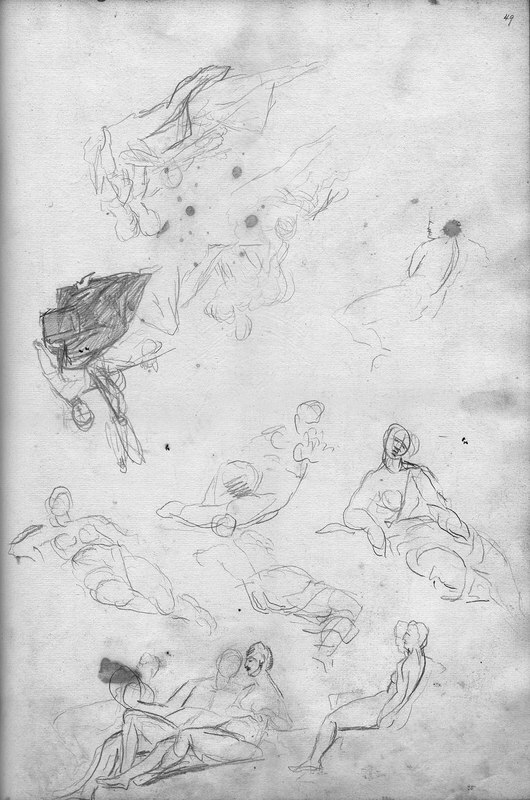 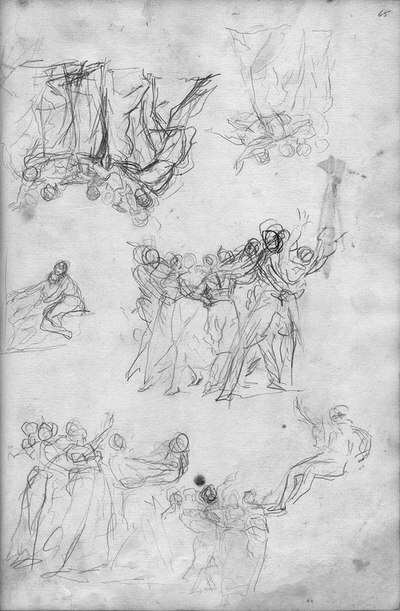 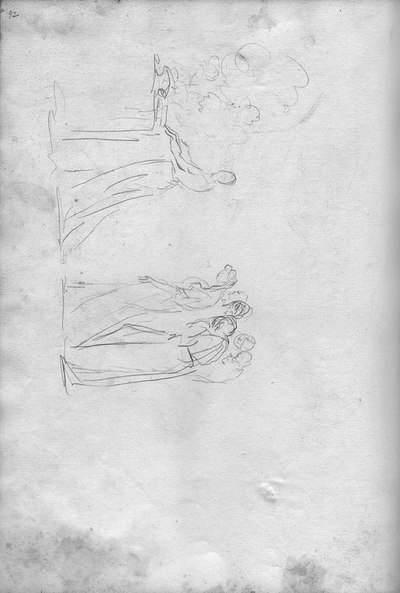 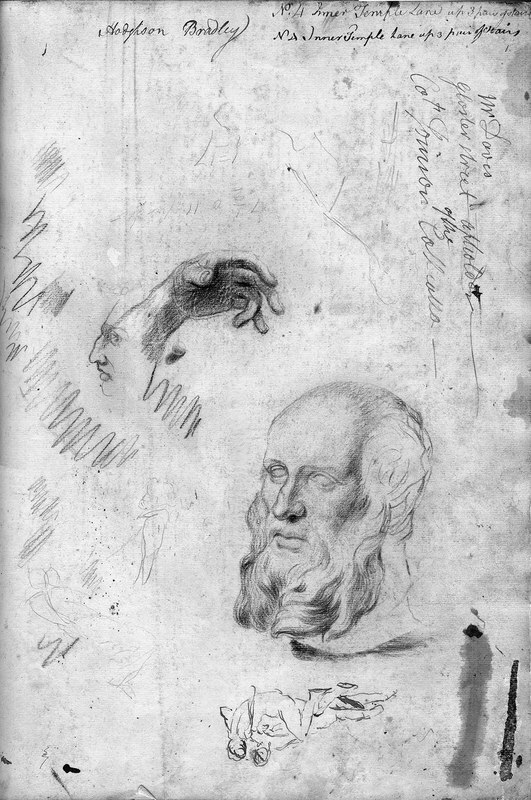 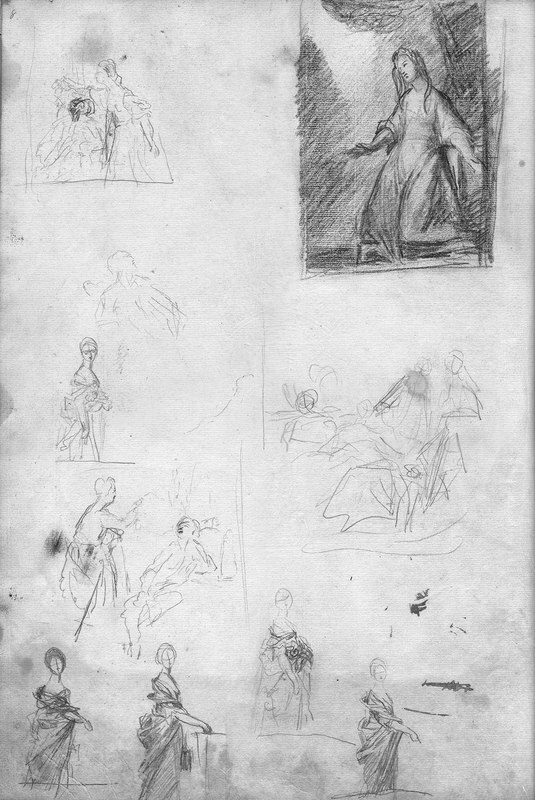 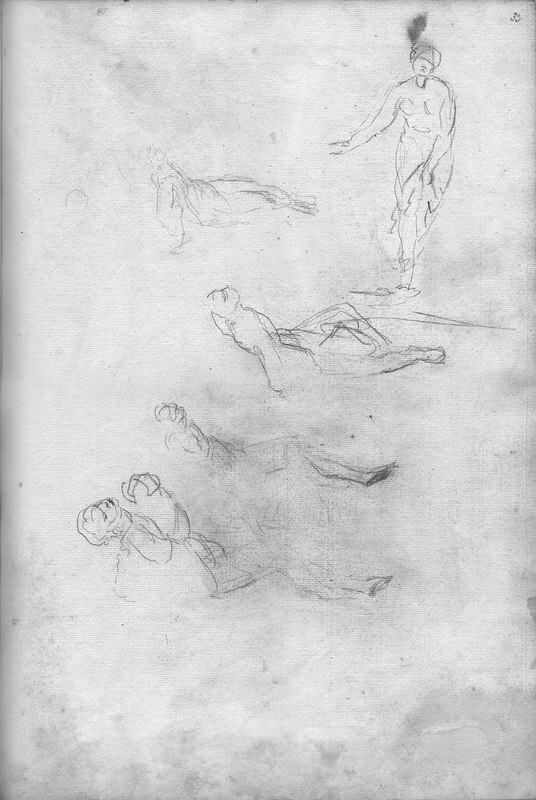 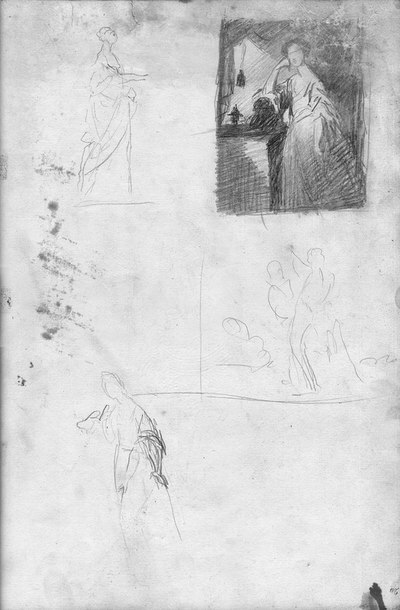 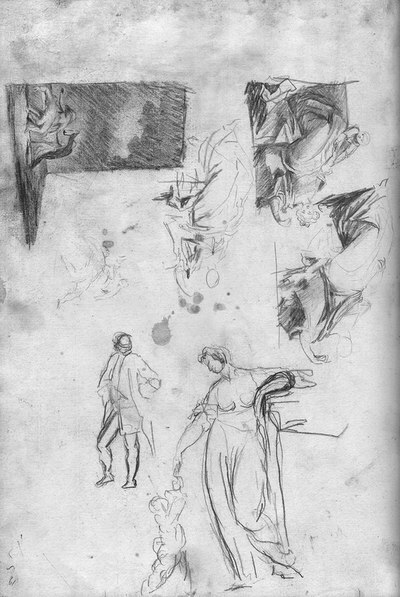 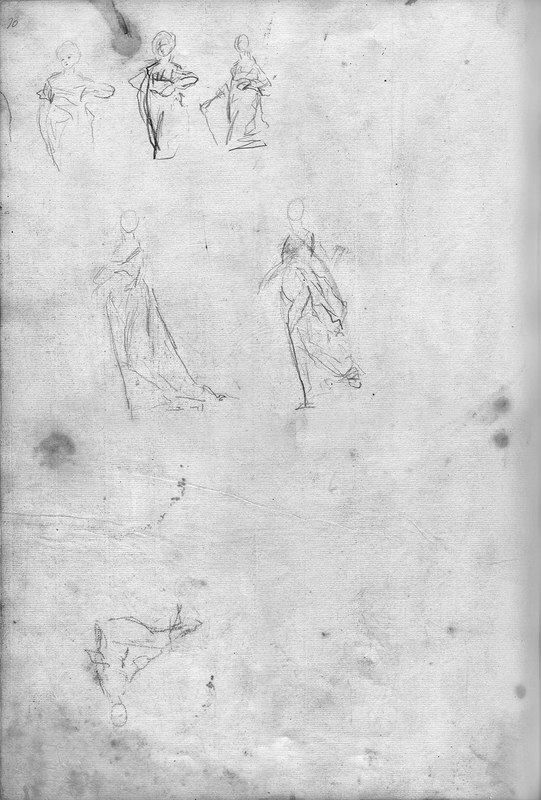 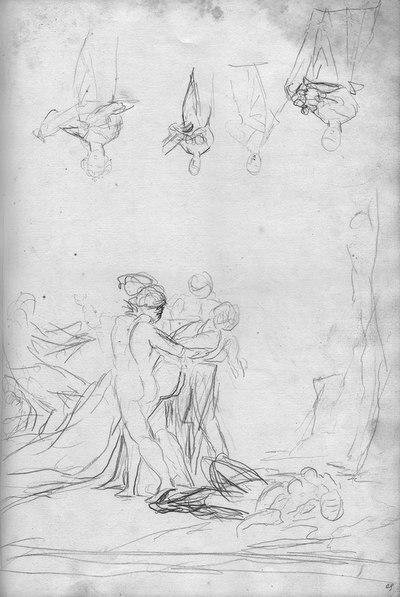 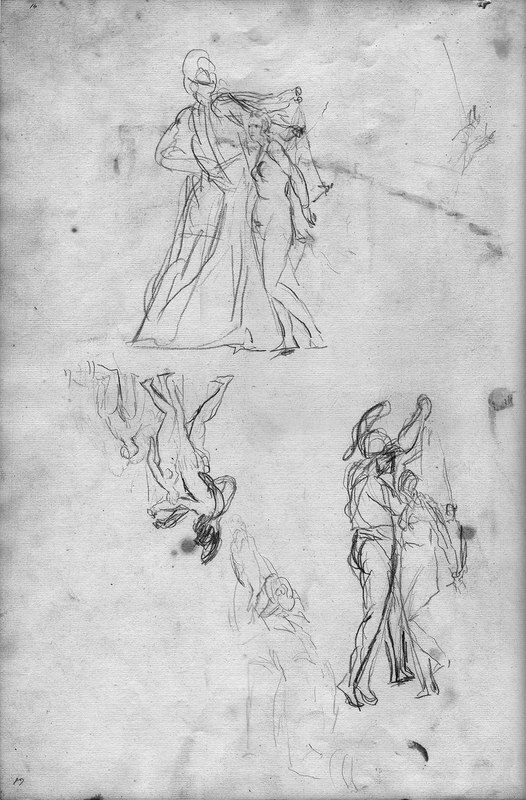 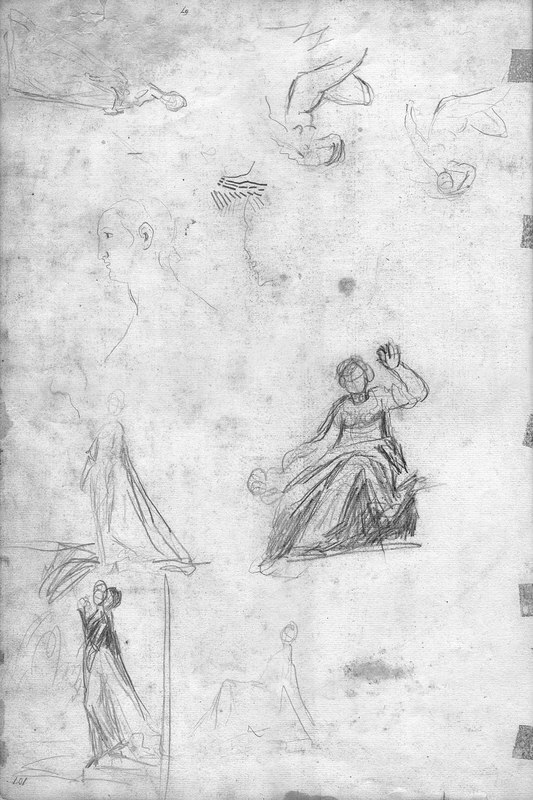 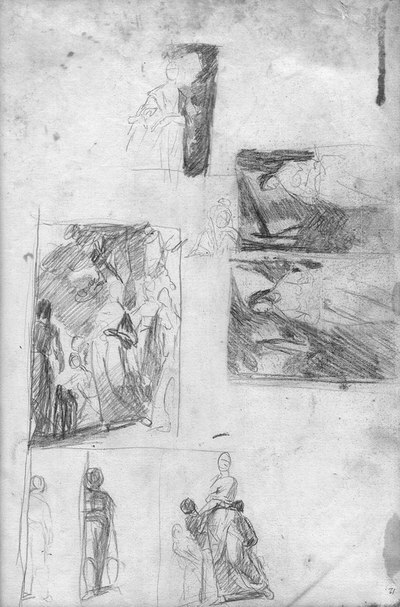 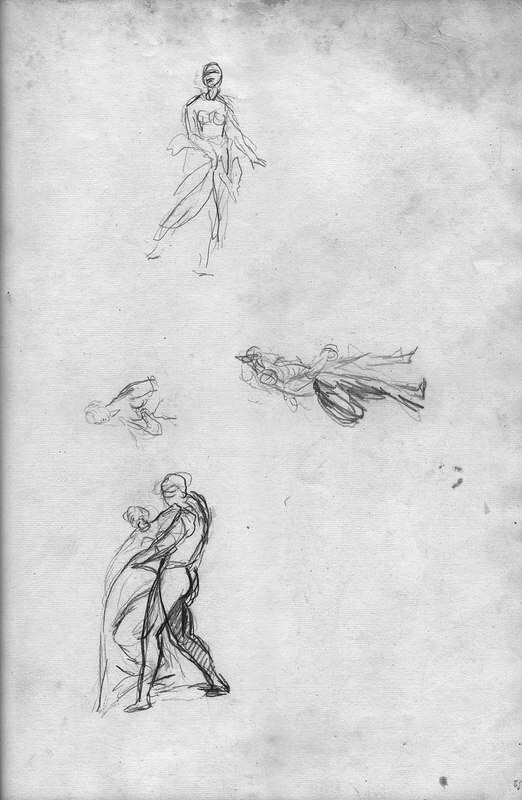 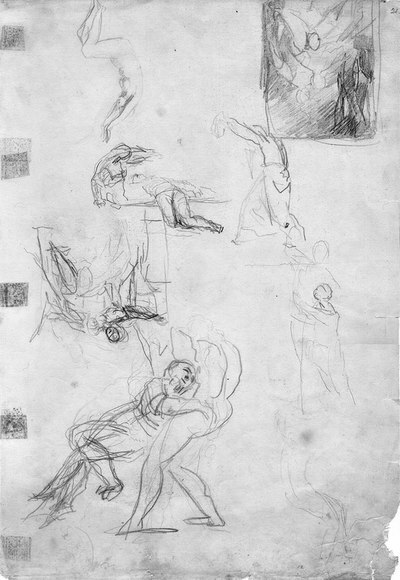 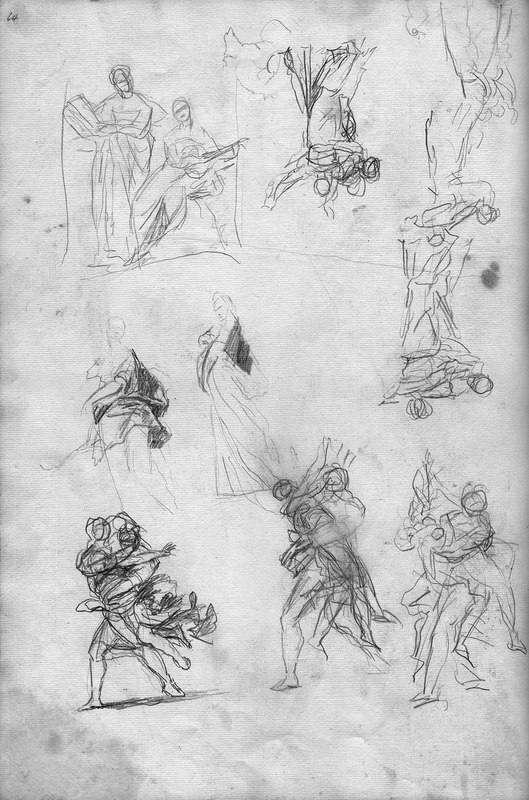 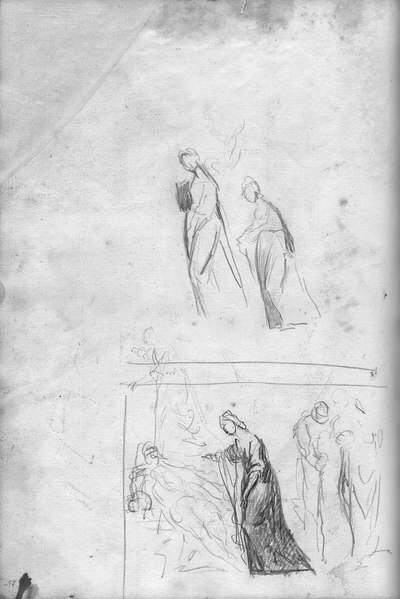 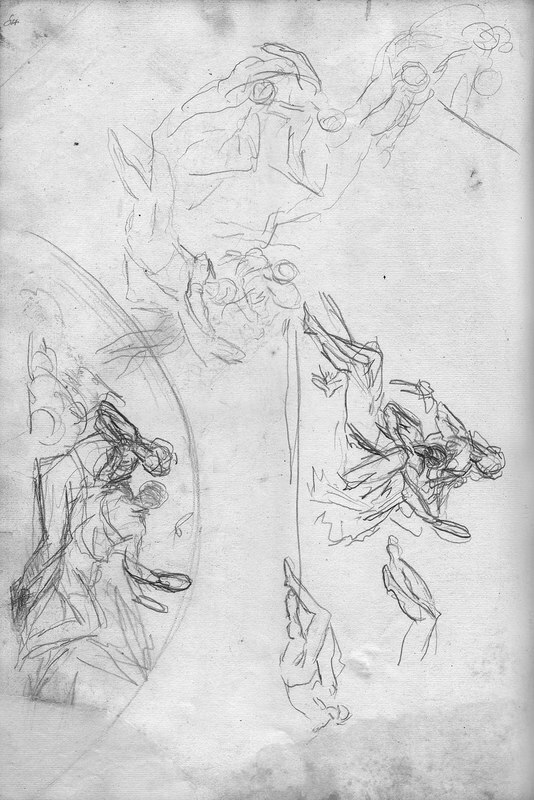 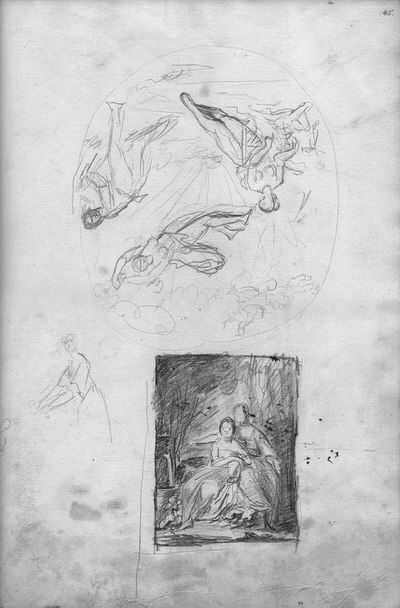 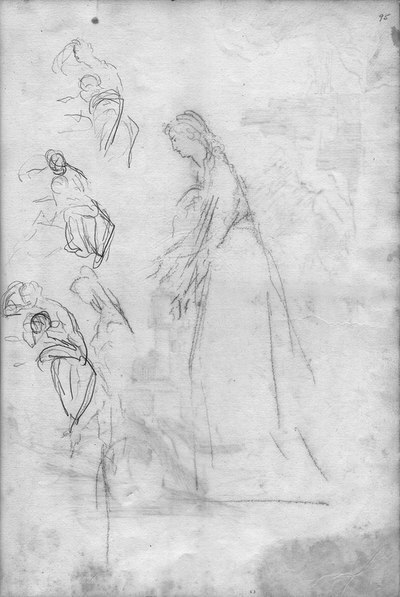 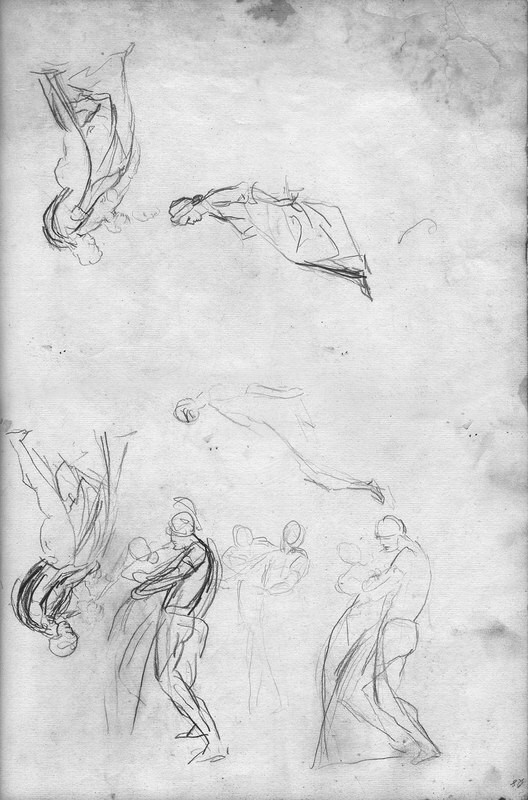 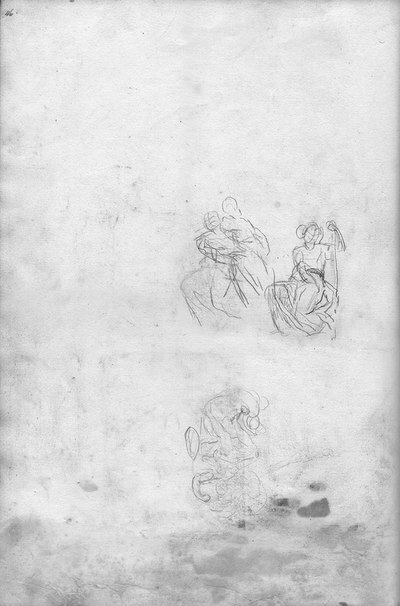 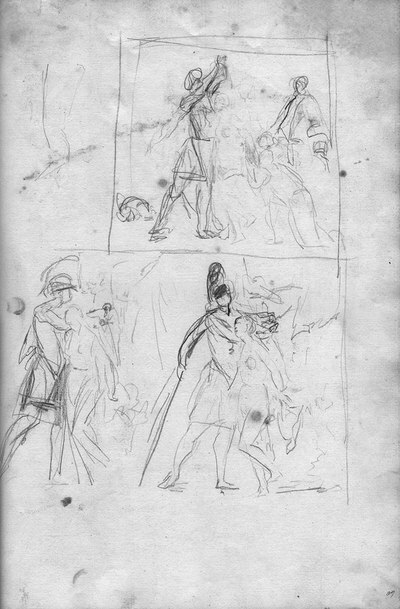 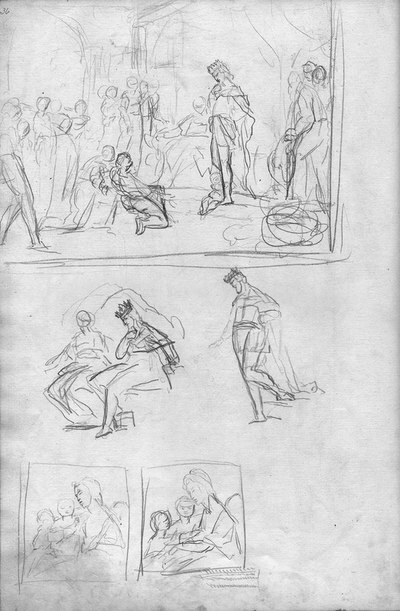 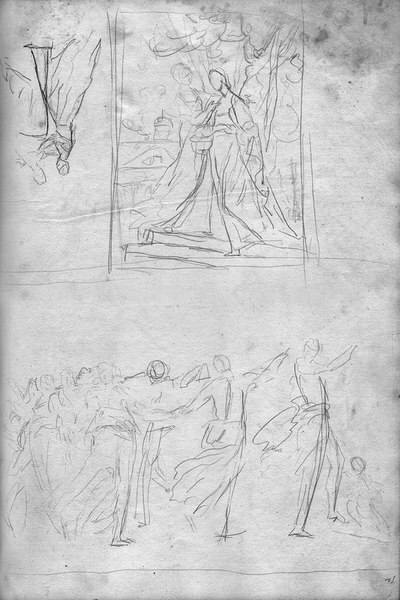 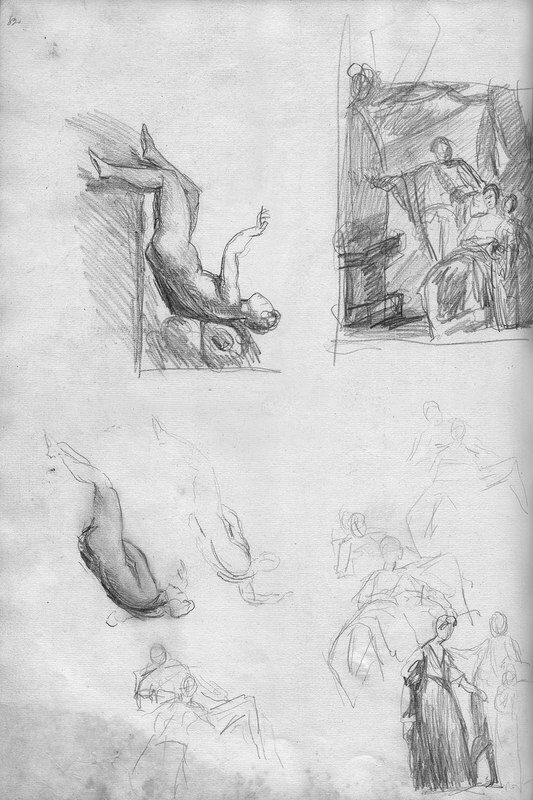 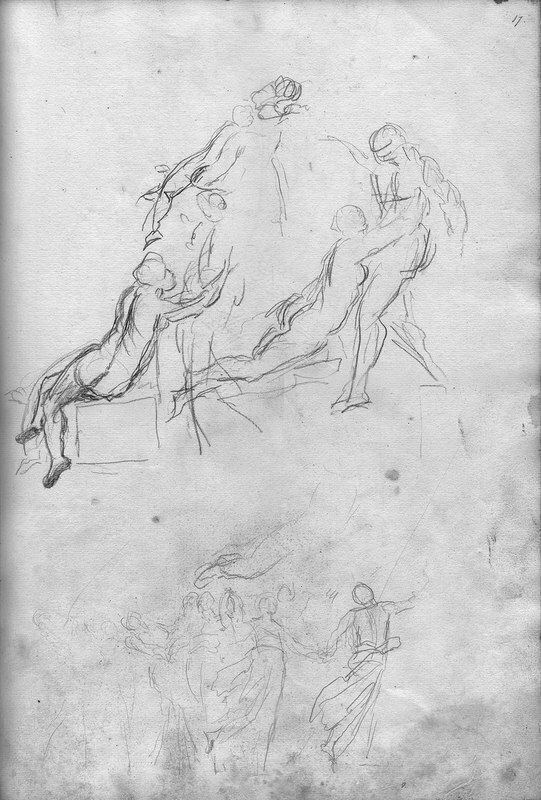 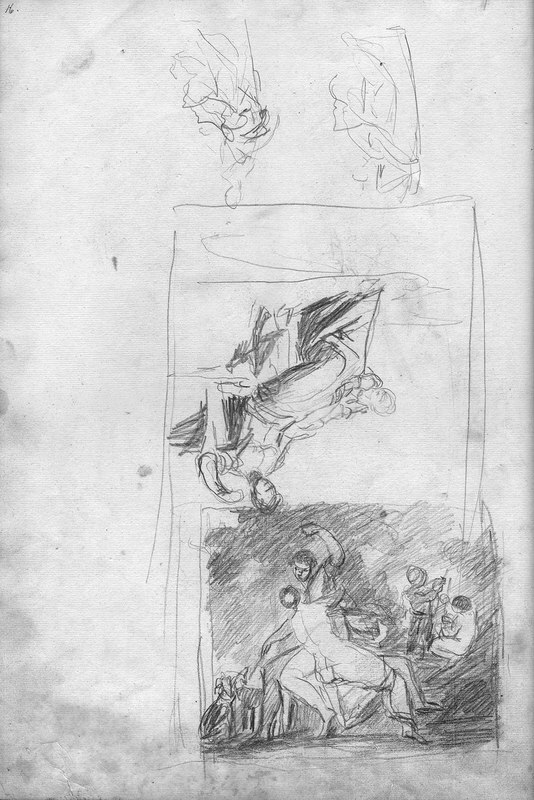 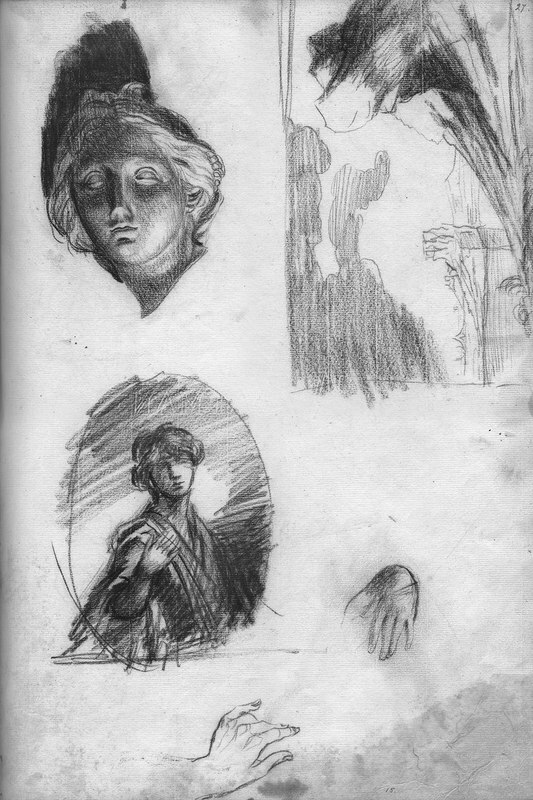 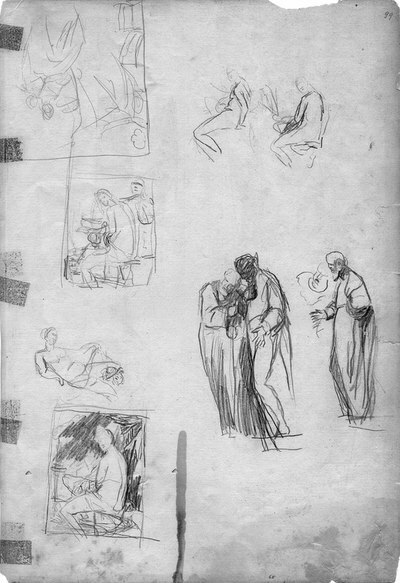 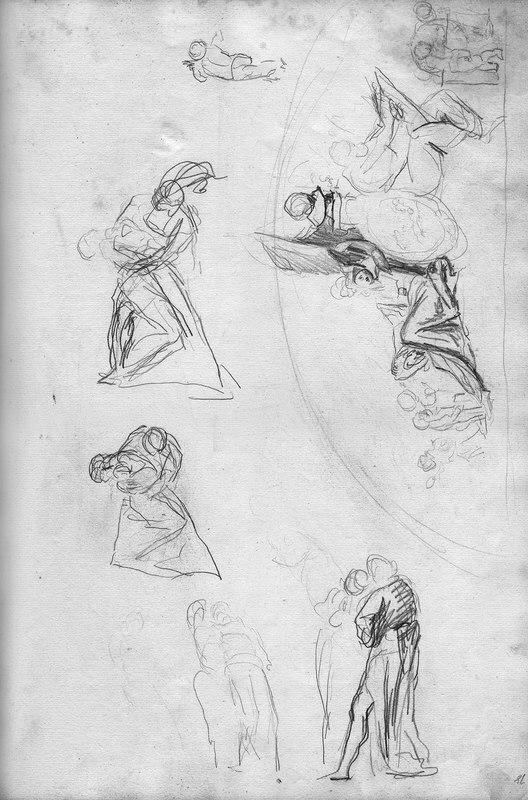 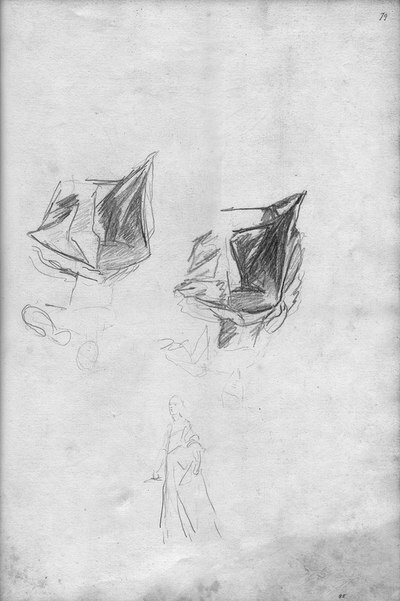 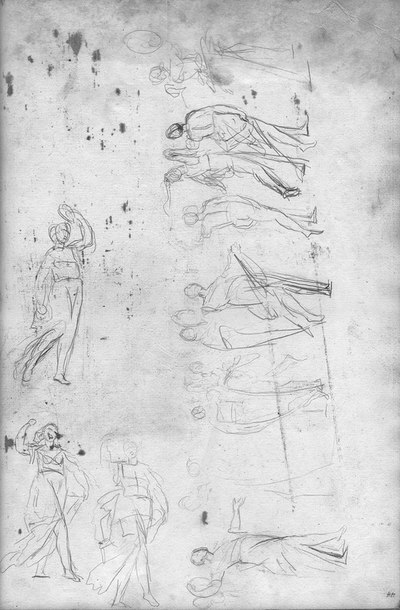 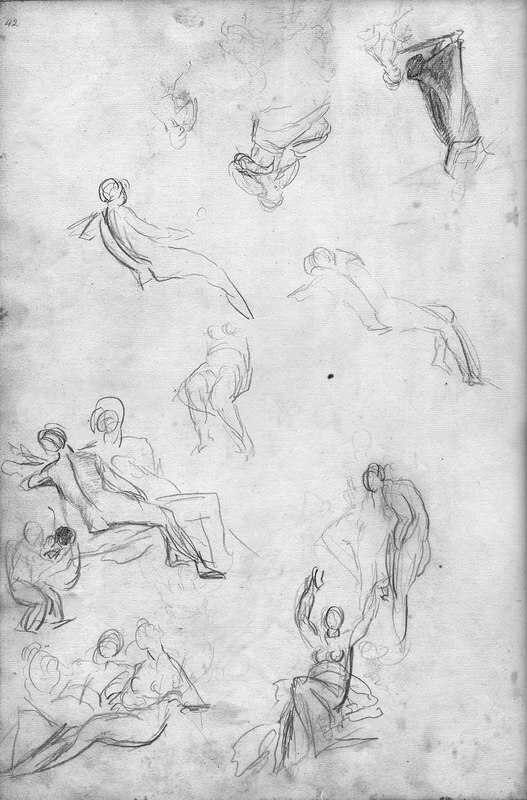 The drawings on this page come from the George Romney sketch book at Kendal Town Hall. 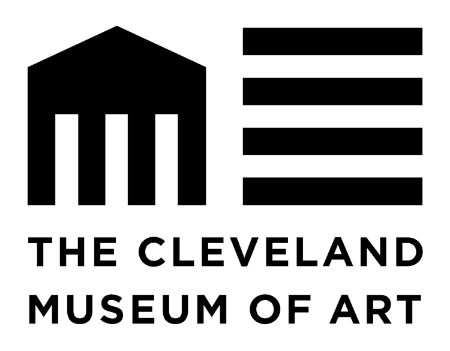 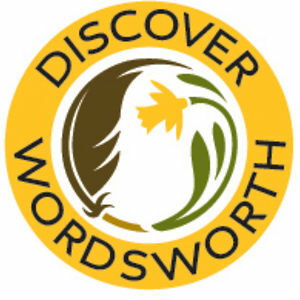 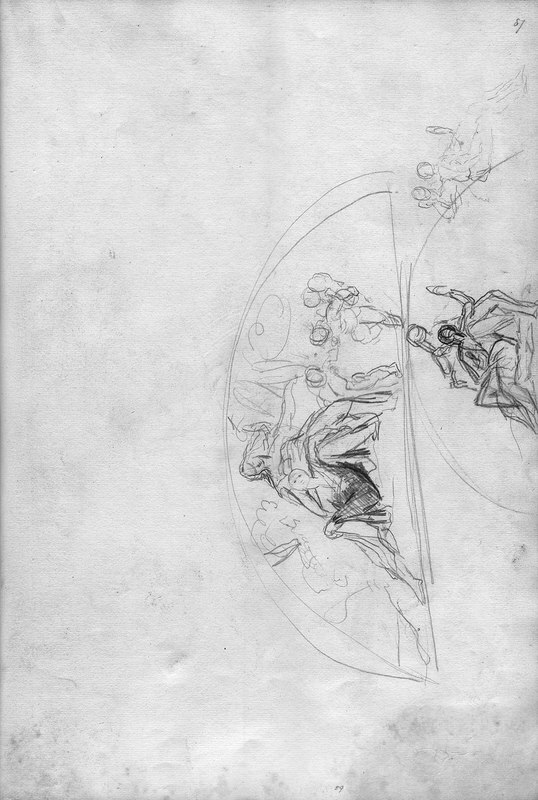 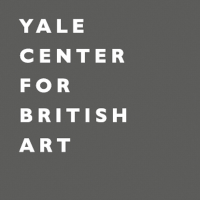 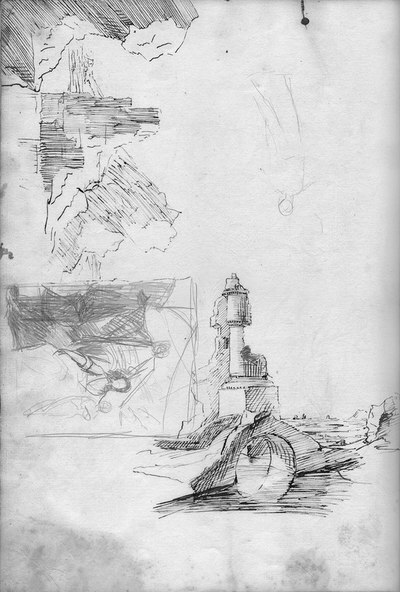 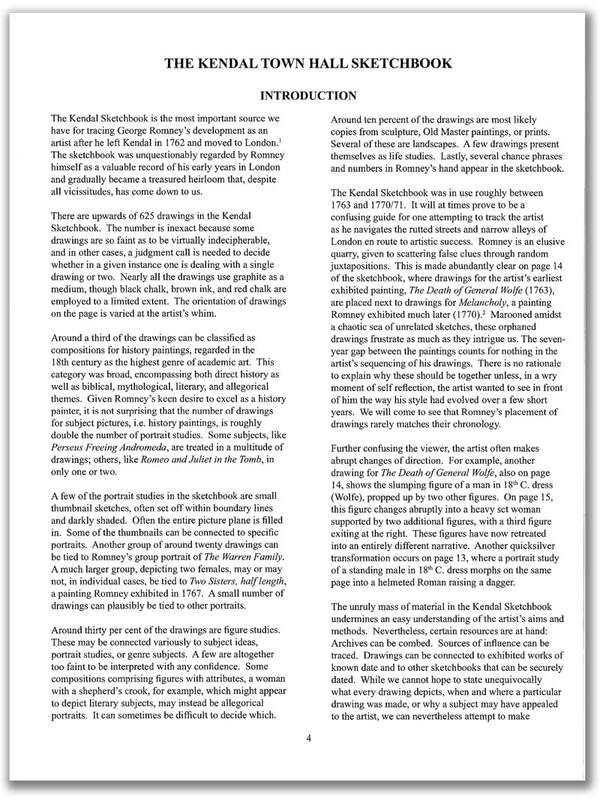 The sketchbooks can viewed interactively by clicking on the cover below. 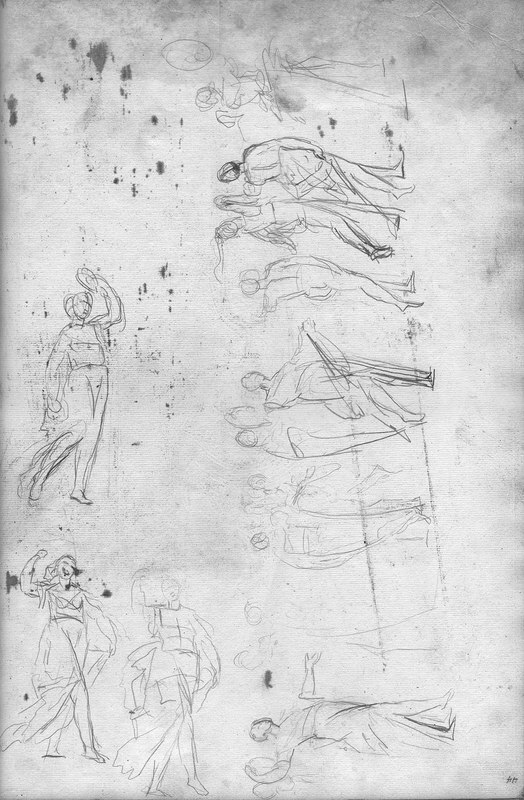 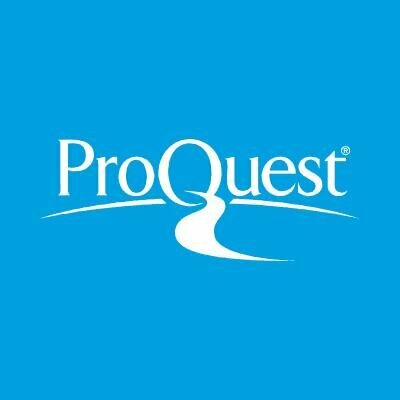 Press escape to exit the viewer. 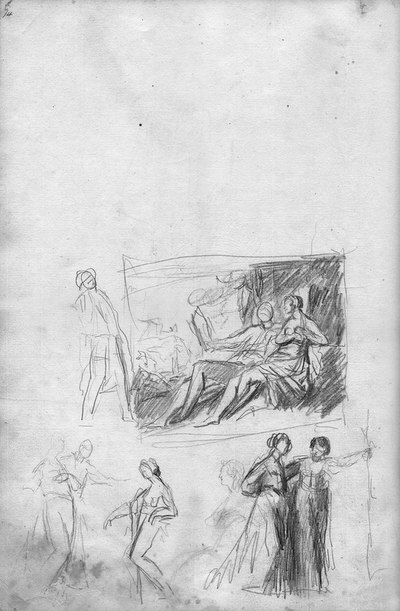 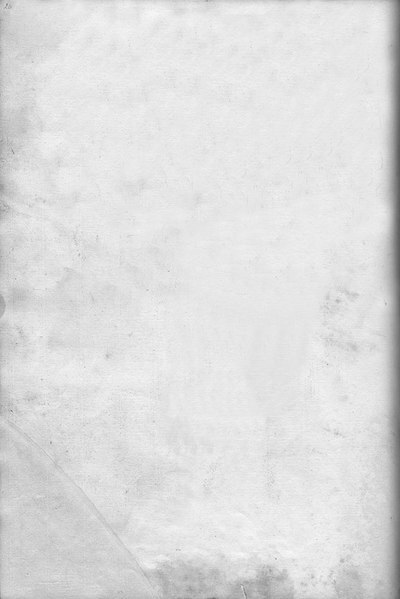 Or in a simple photo gallery of the individual pages. 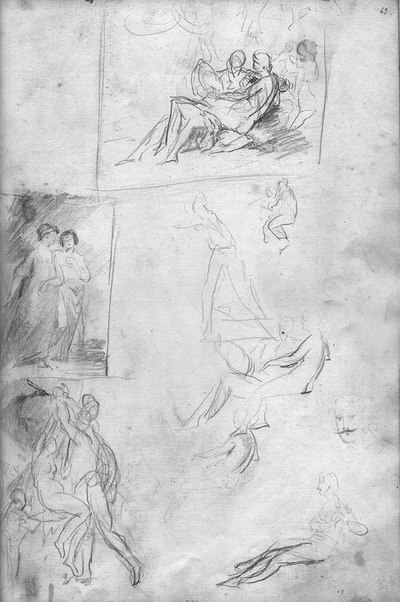 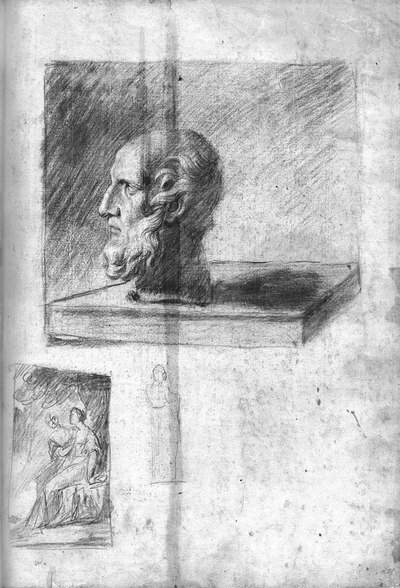 The Kendal Sketchbook is the most important source we have for tracing George Romney's development as an artist after he left Kendal in 1762 and moved to London. 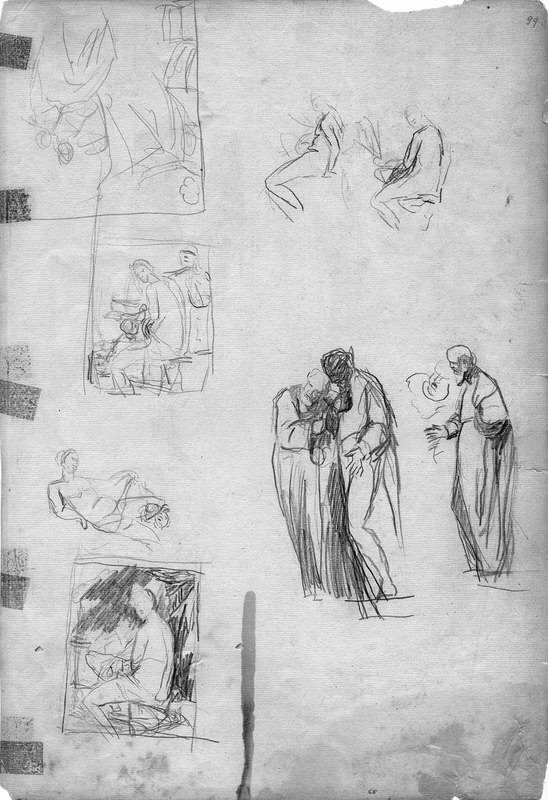 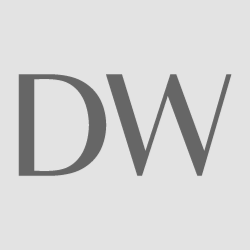 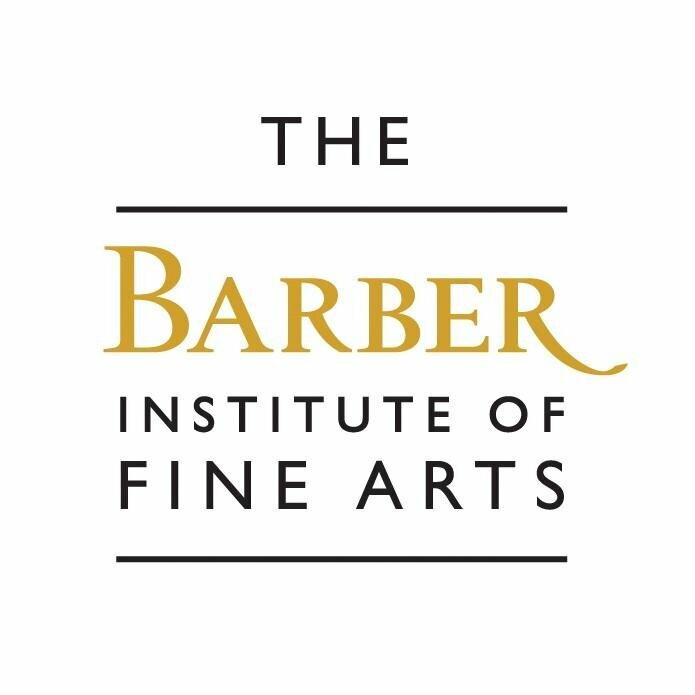 The sketchbook was unquestionably regarded by Romney himself as a valuable record of his early years in London and gradually became a treasured heirloom that, despite all vicissitudes, has come down to us.